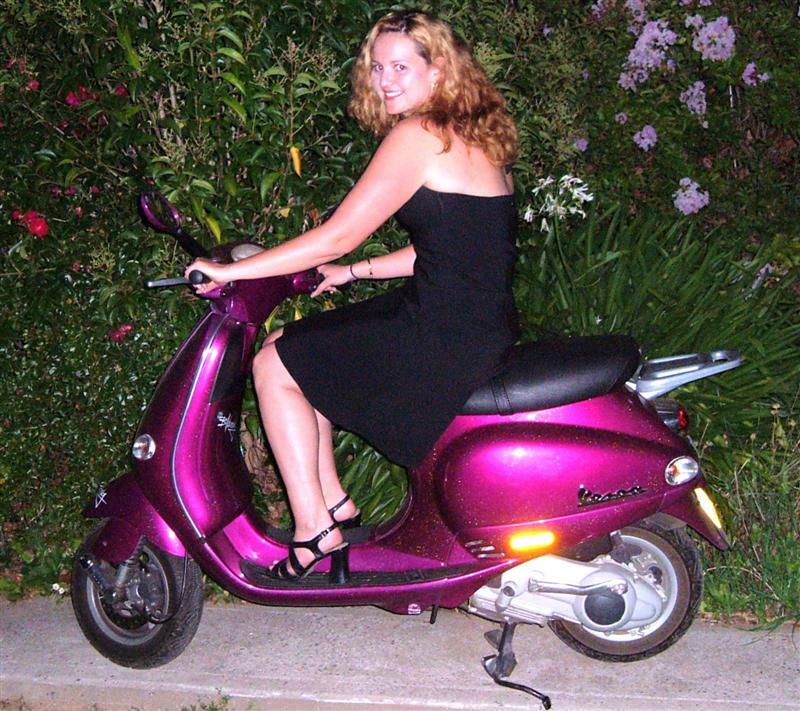 In our never ending quest to keep you satisfied, we invite you to send in Your Pics! 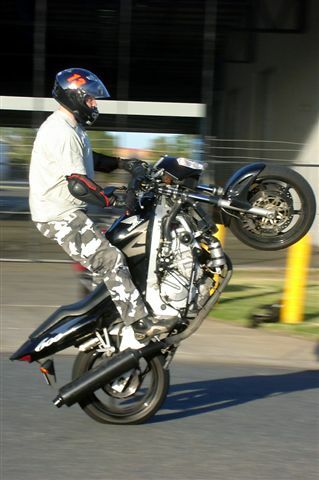 These great photos sent in by Lucky from www.weekendriders.net in Brisbane, Qld. 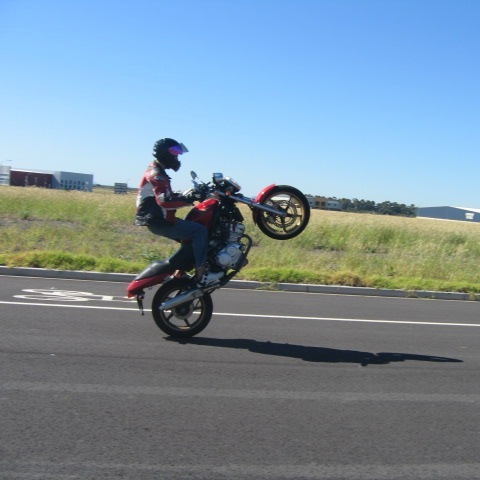 The "South Coast Locos" sent us in a few shots of them busting out their stuff, they are based near Wollongong, NSW and try to ride as often as possible, Top Stuff FELLAS! 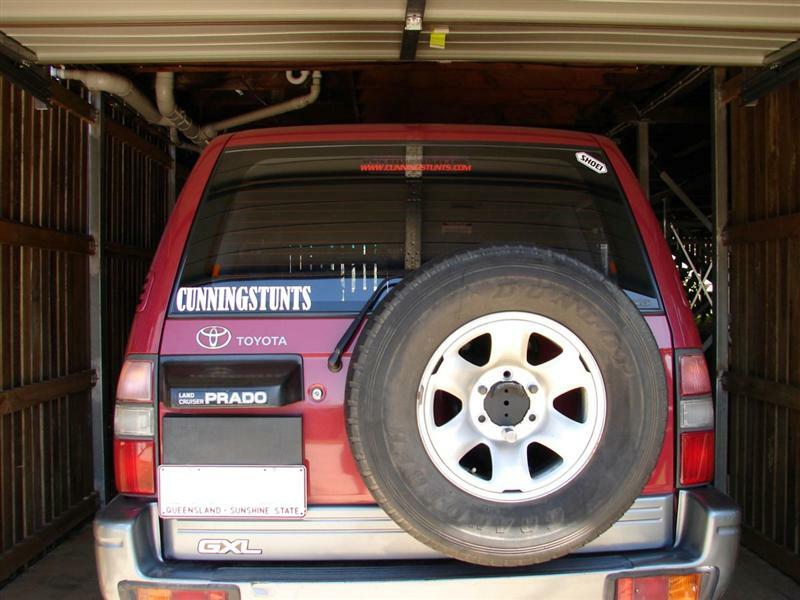 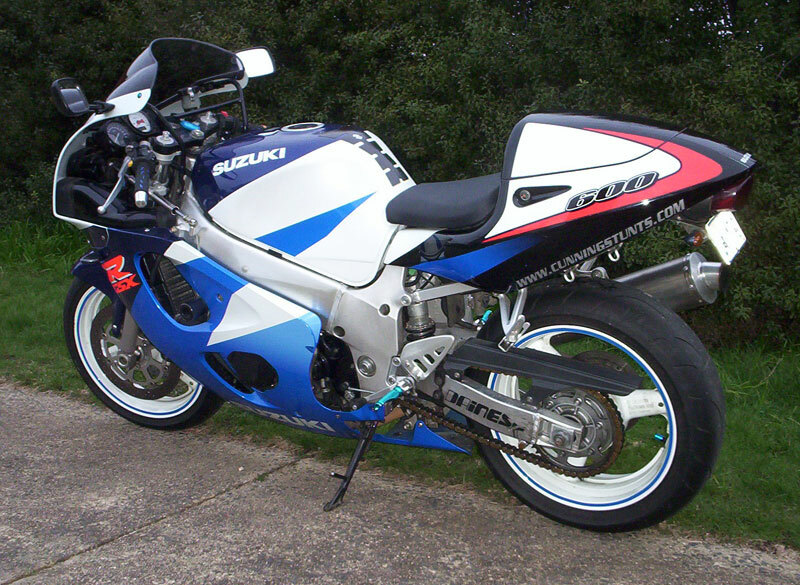 - Keep the pics comming..
MAD MAX Sent us this top Pic, Man that STICKER IS SICK! 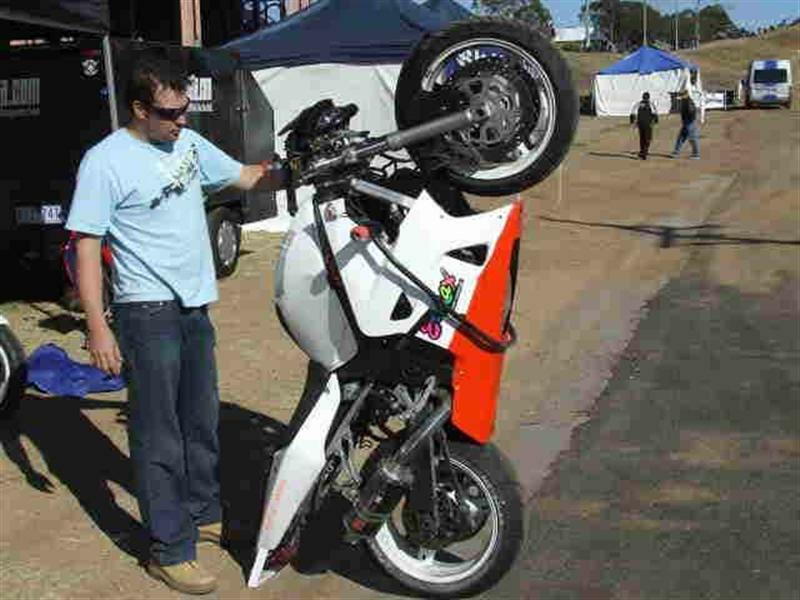 Nice work! 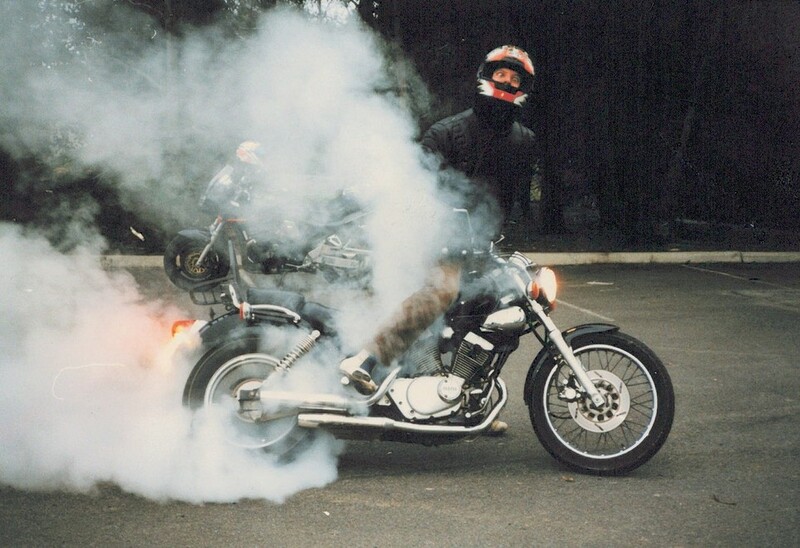 We'll catch up soon. 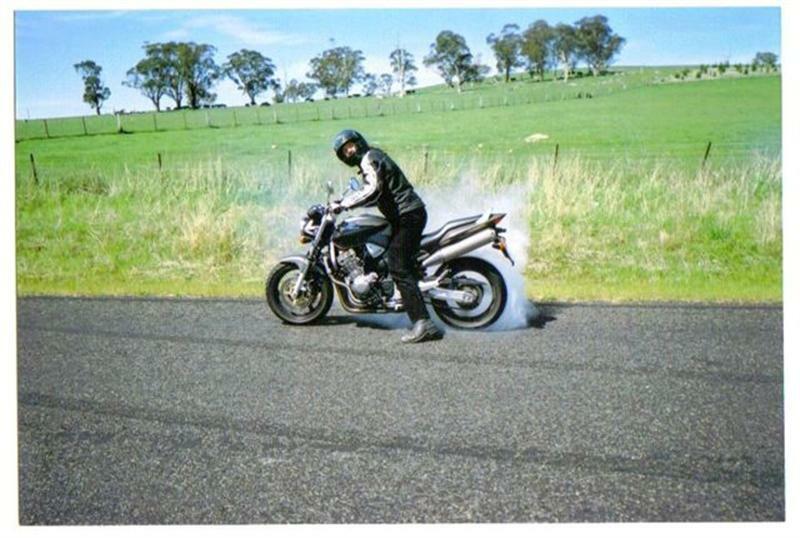 I only wish tyres lasted longer with that type of treatment. 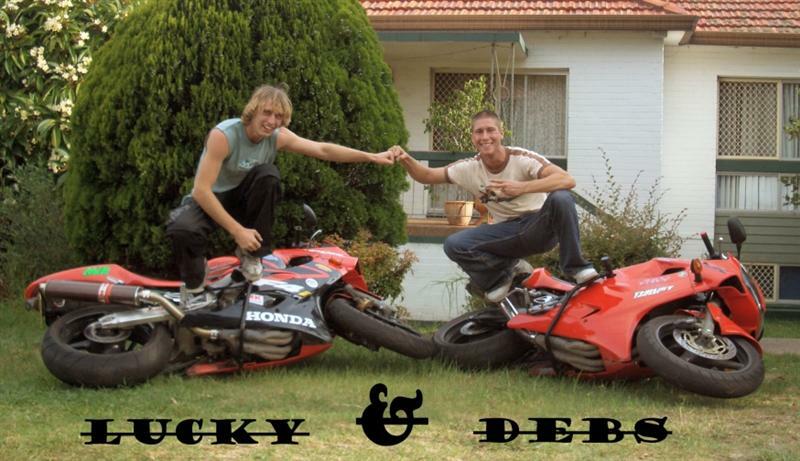 (Dowboy has provided many photos in our photo section), Nice going dude. 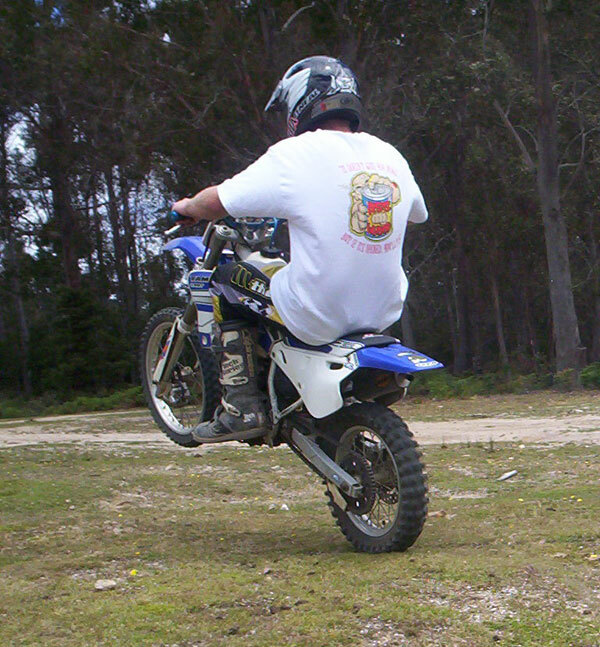 Keep up the good work fellas, looking forward to catching up soon. 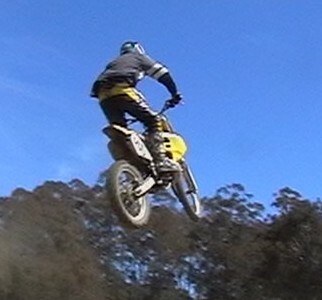 Thanks for the Pics Twatty. 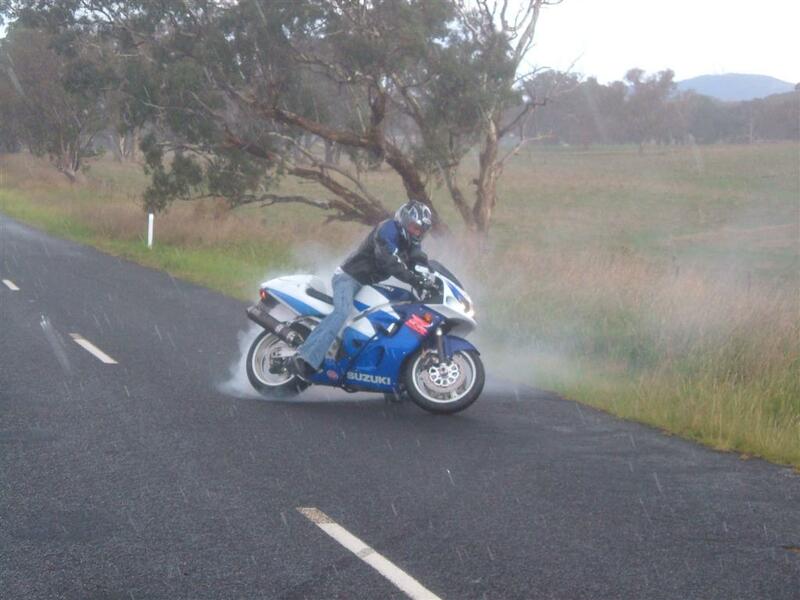 This is commitment.... look at these Throttle Junkies making havok in the rain! 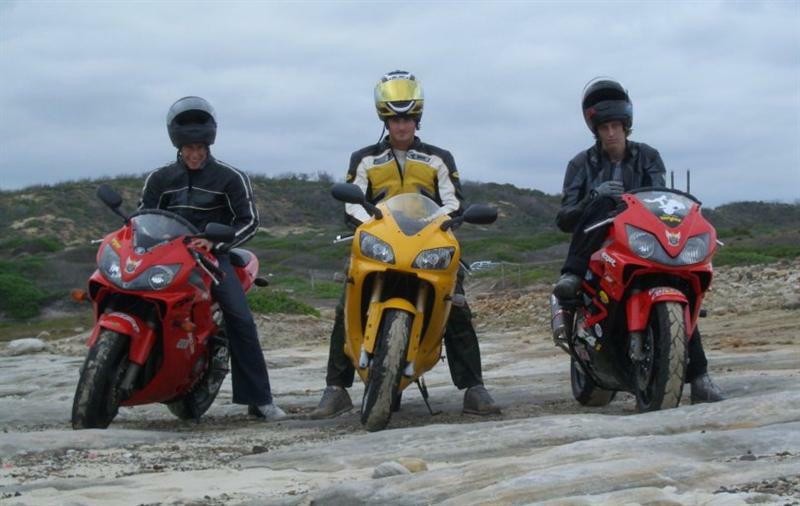 Kris and Chris both looking damn good there. 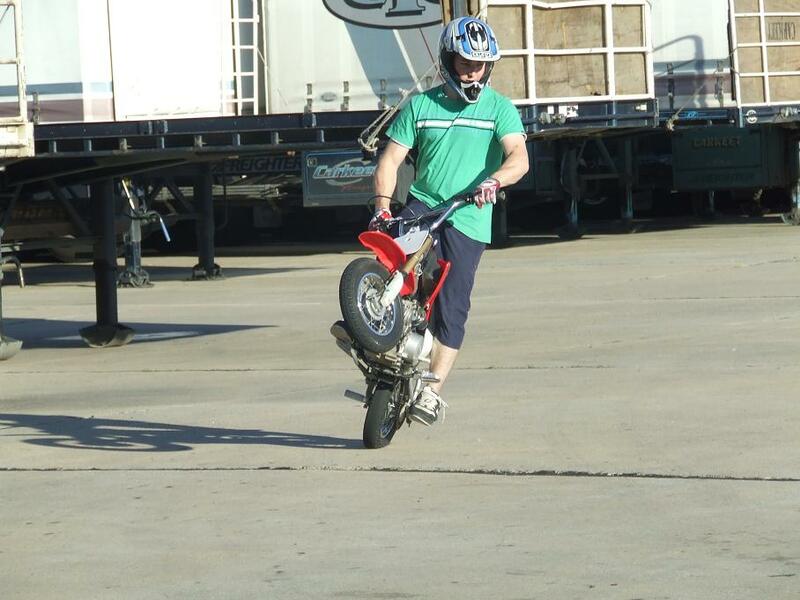 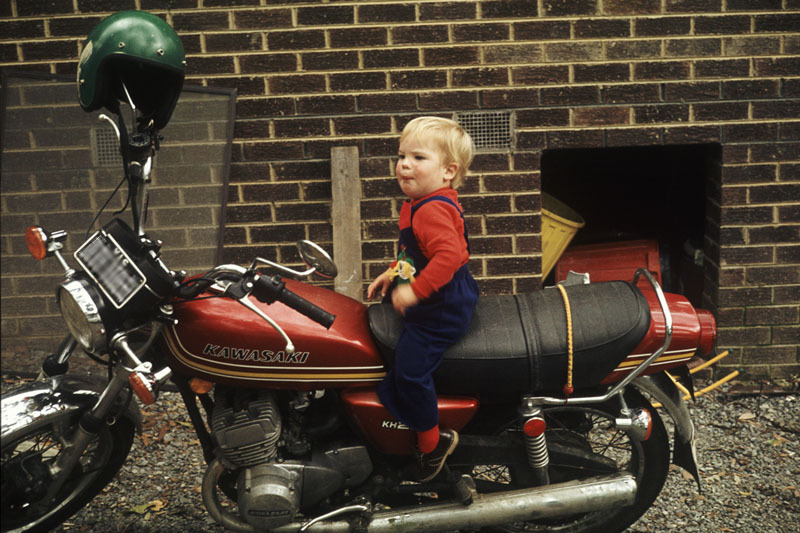 Check out this Crazy Young Stunter..... Just look at the face on Blake, "Yes yes Dad! 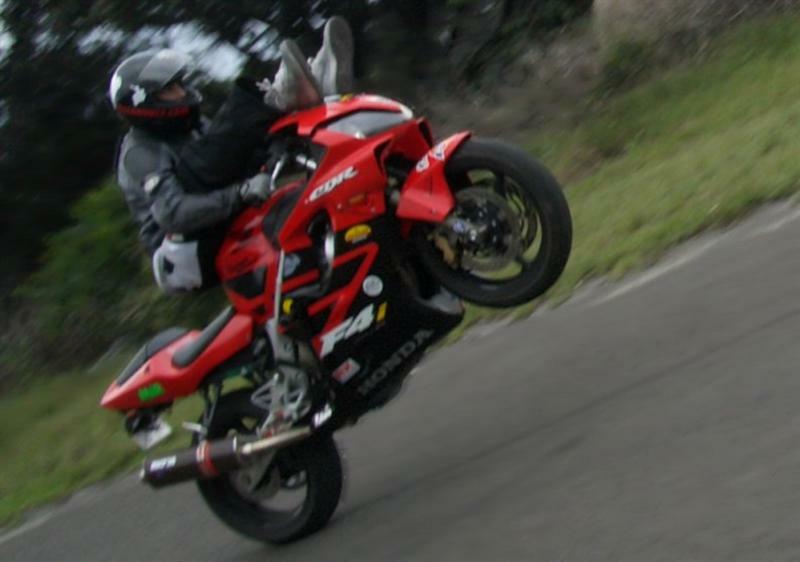 I know how to ride you just focus on taking the photos". 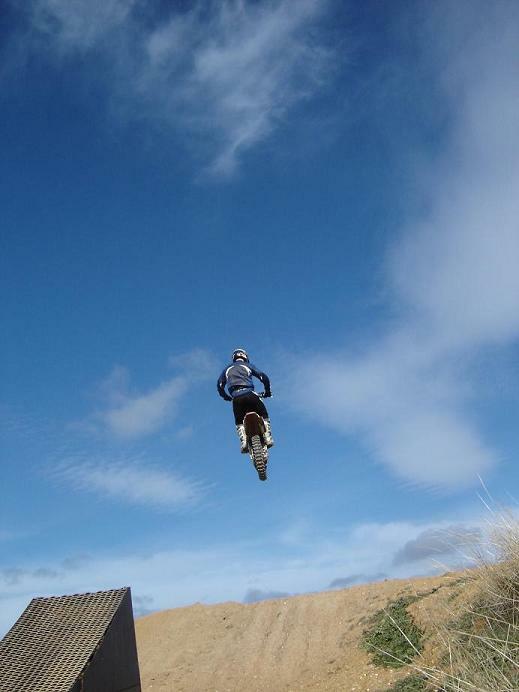 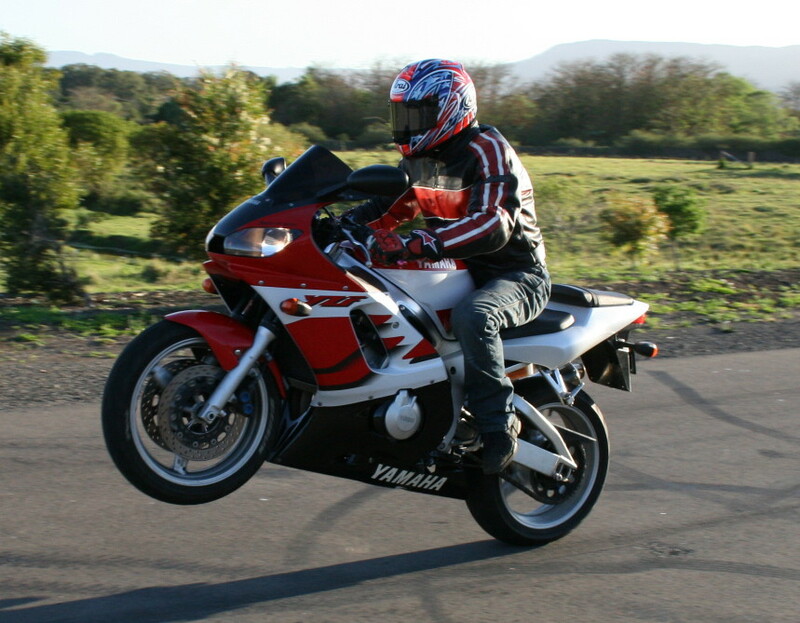 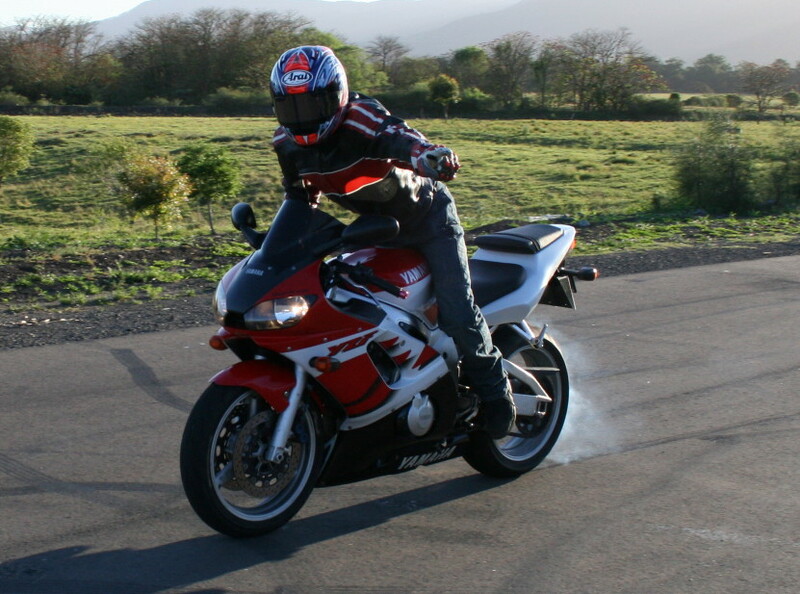 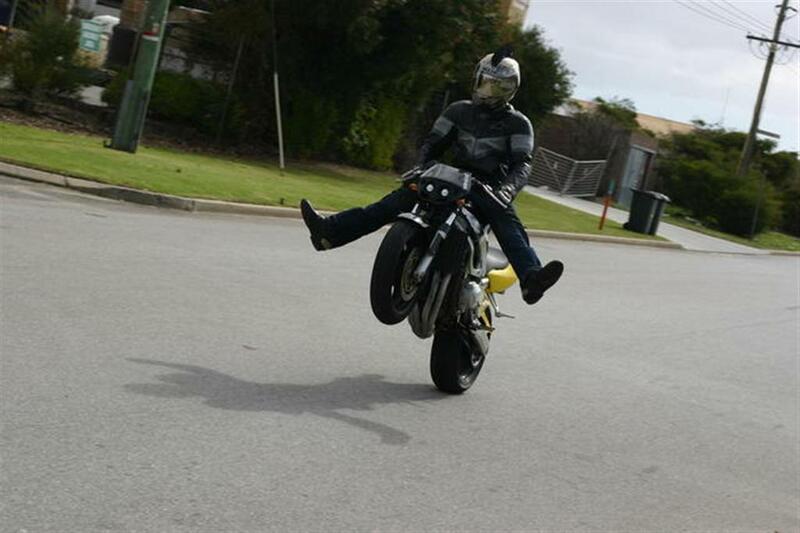 Seriously I think he is going for a Heel Clicker. 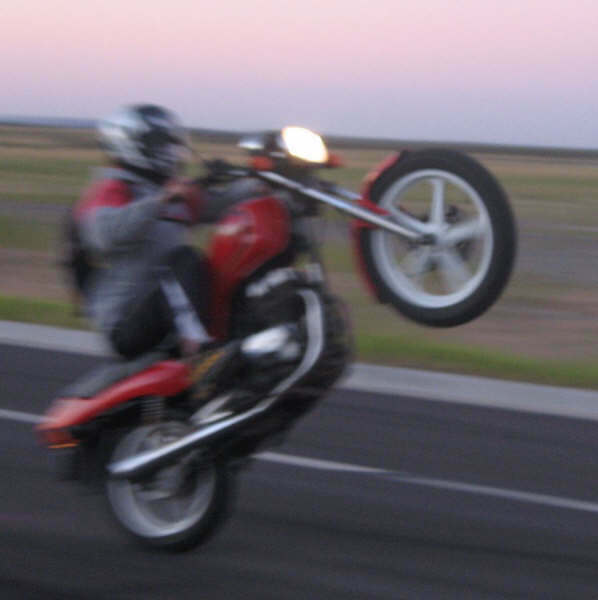 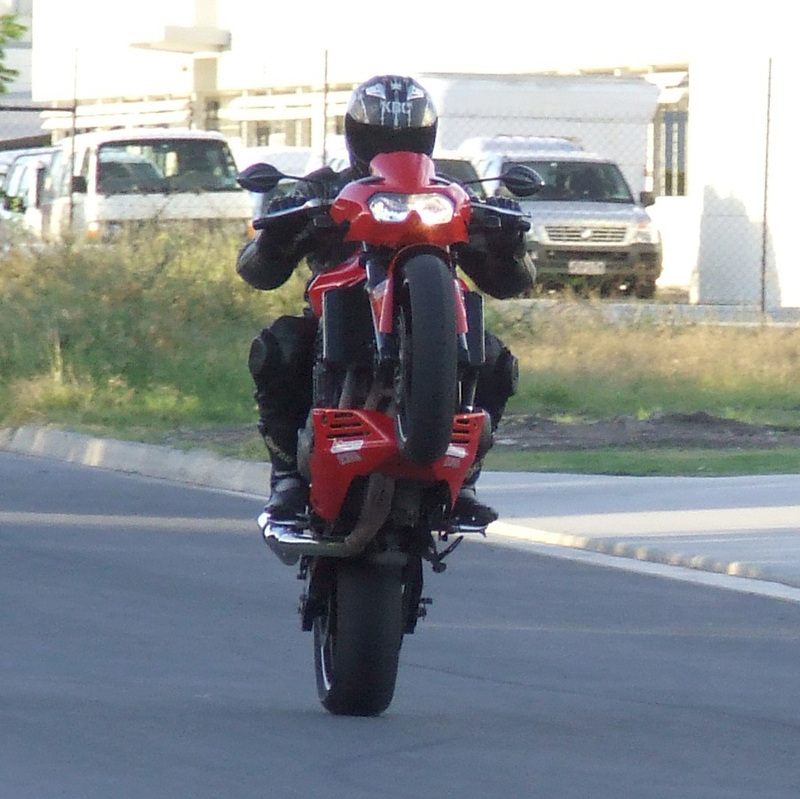 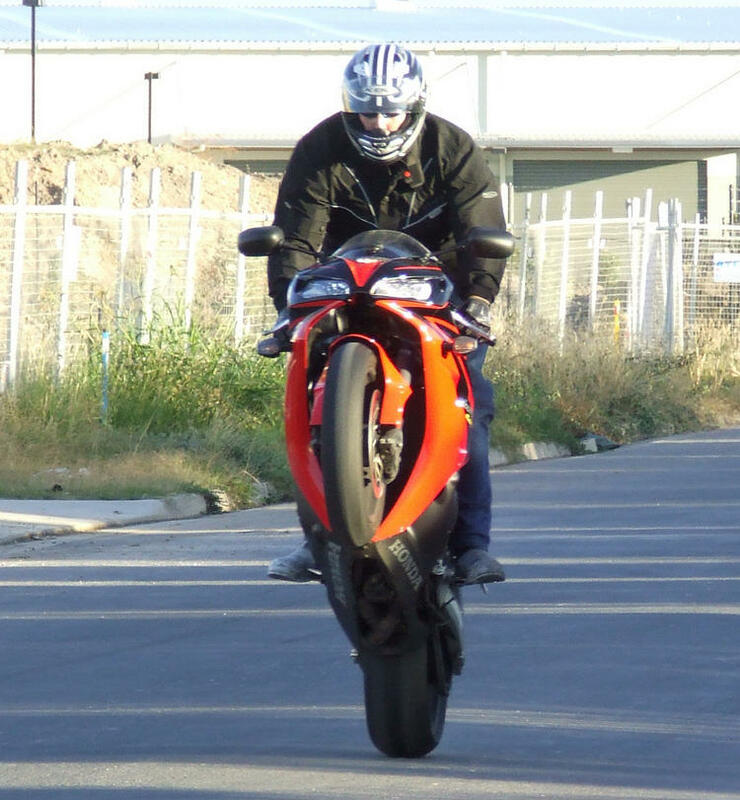 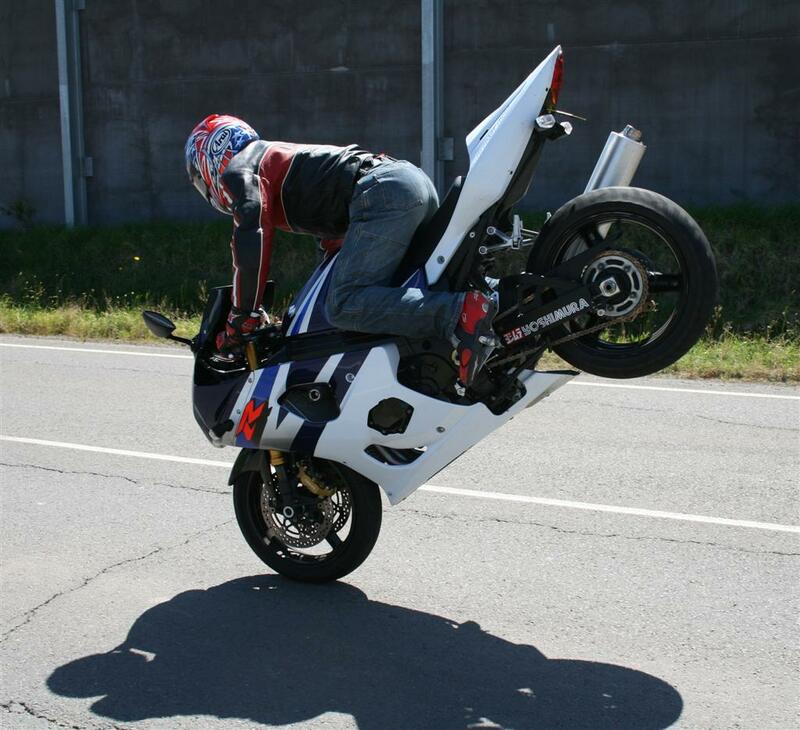 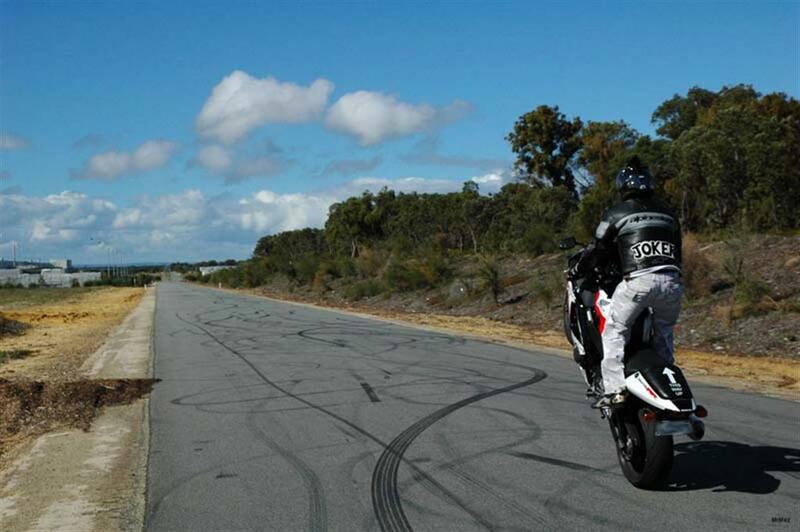 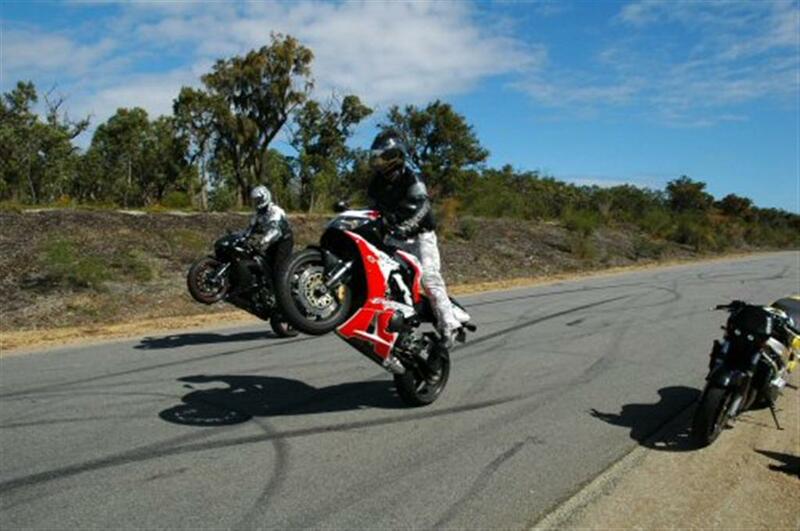 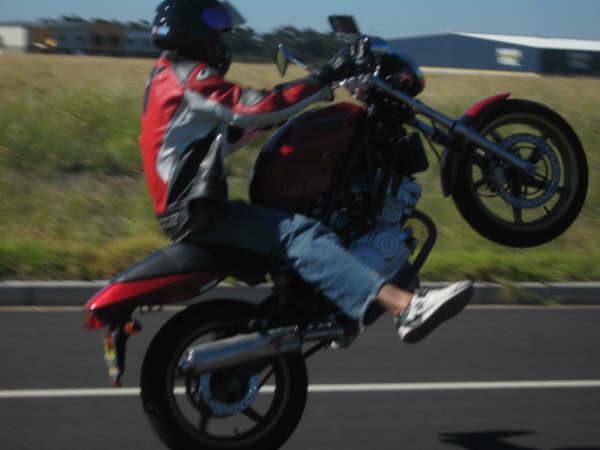 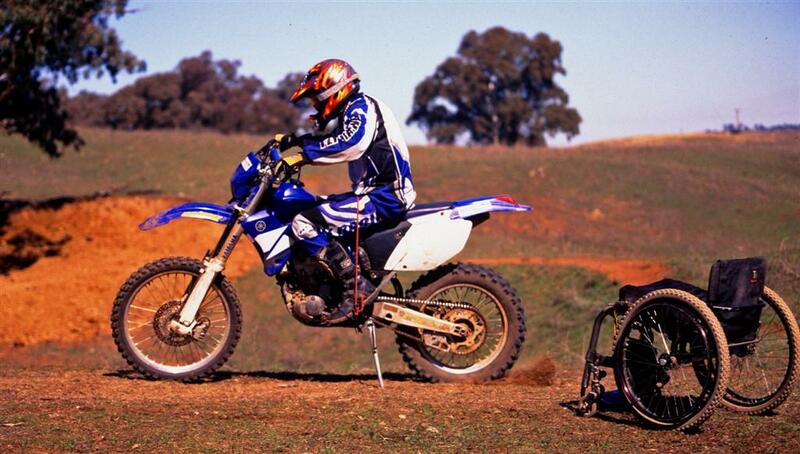 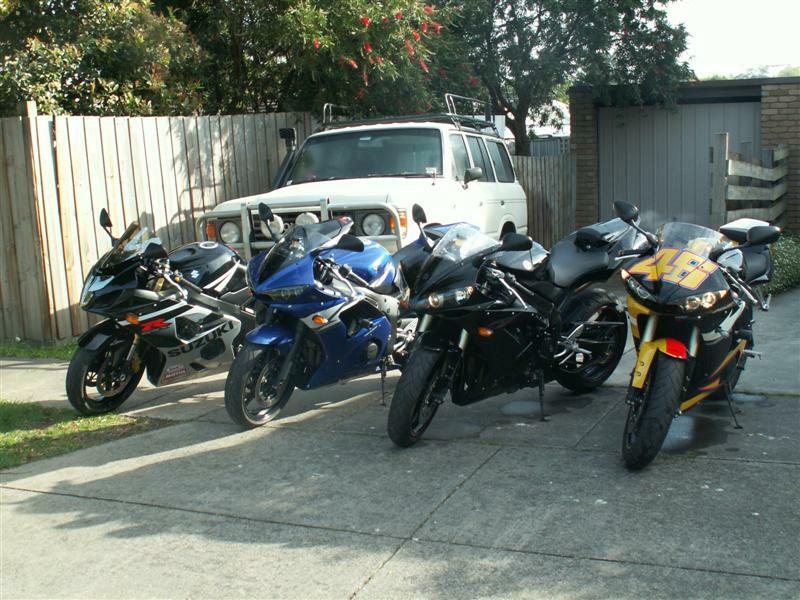 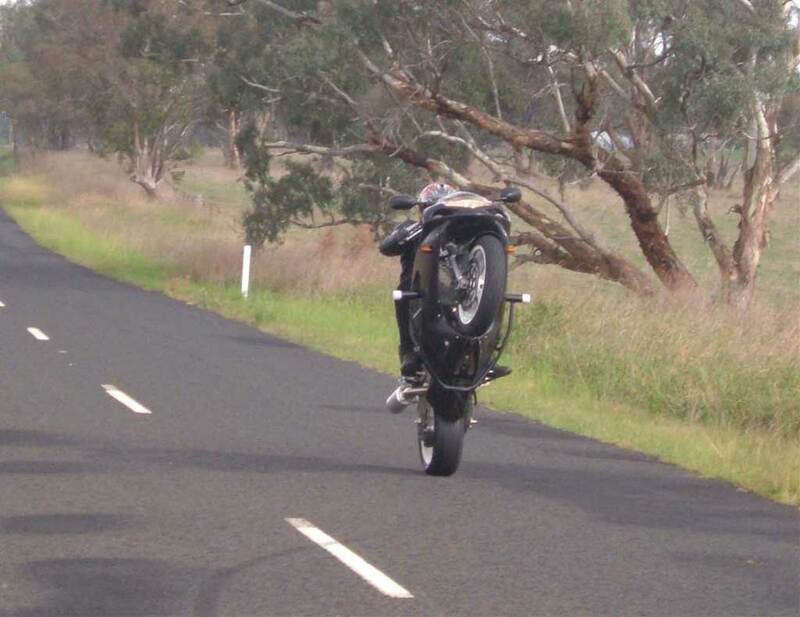 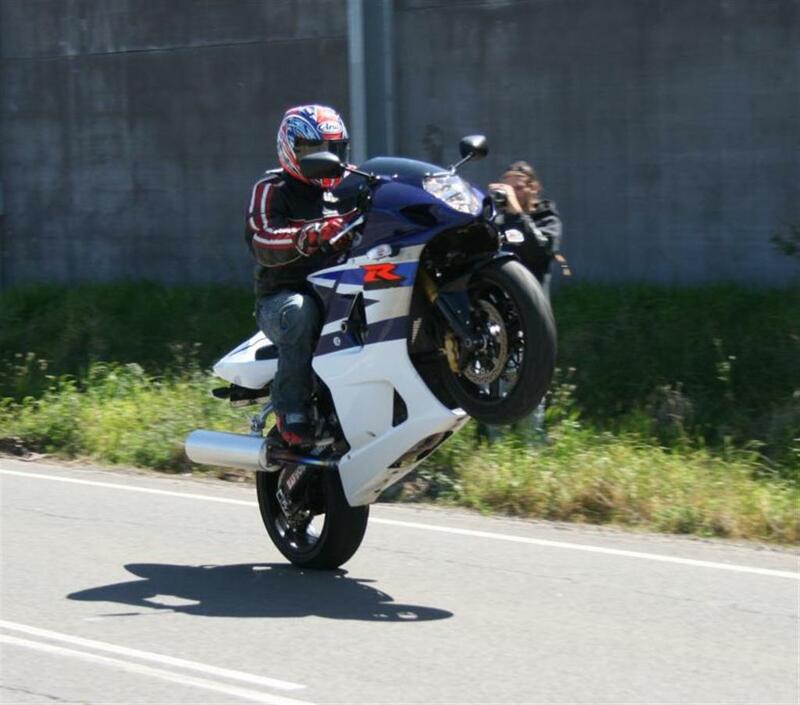 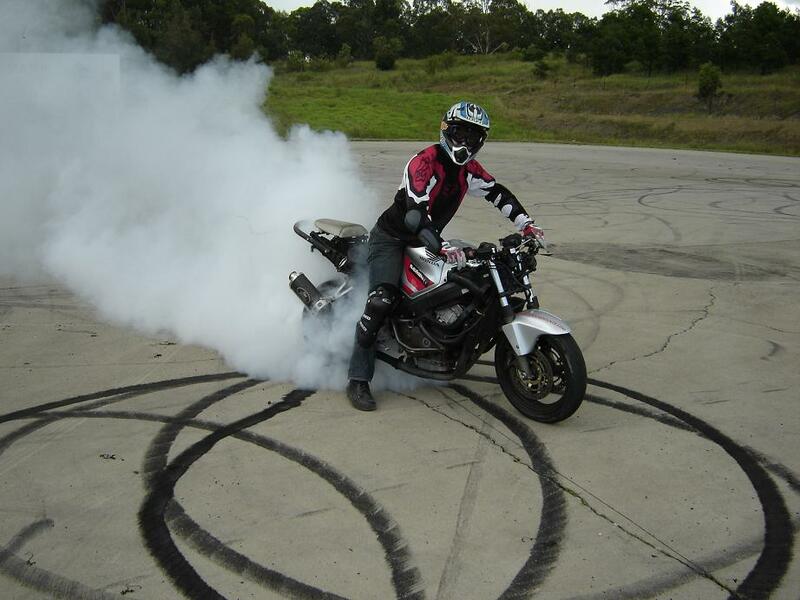 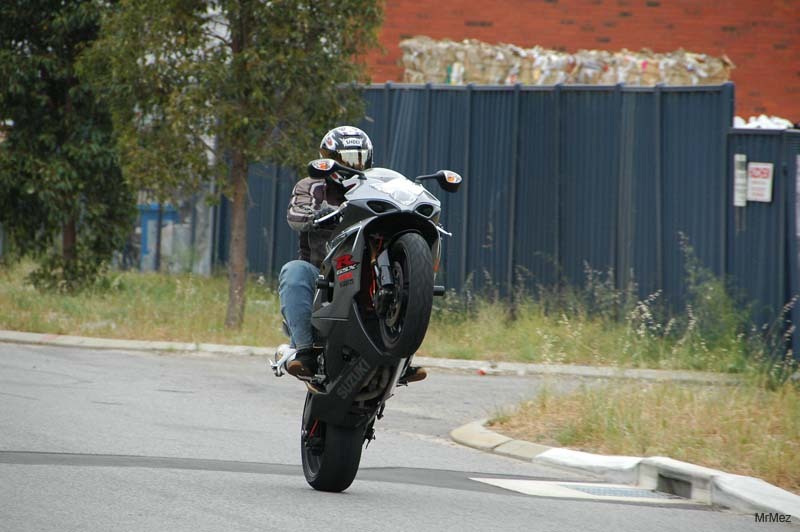 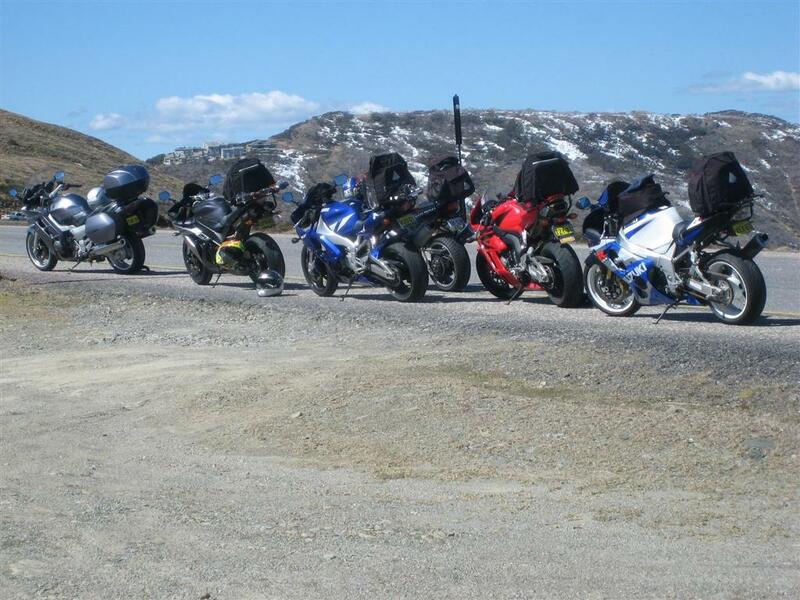 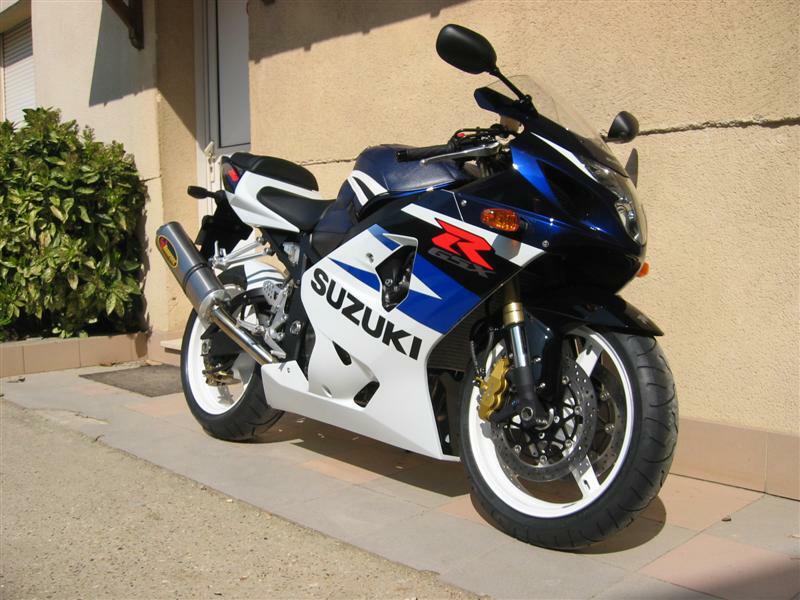 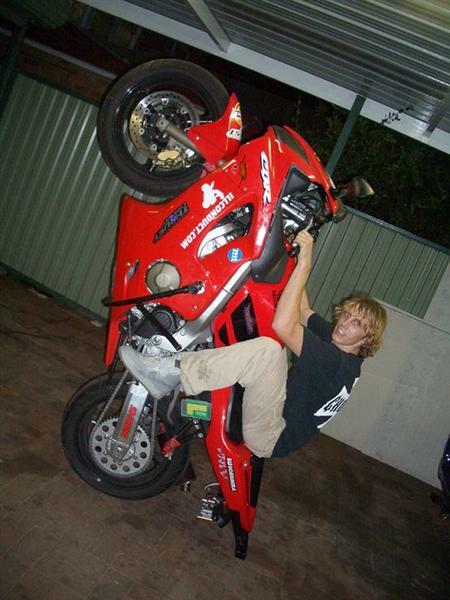 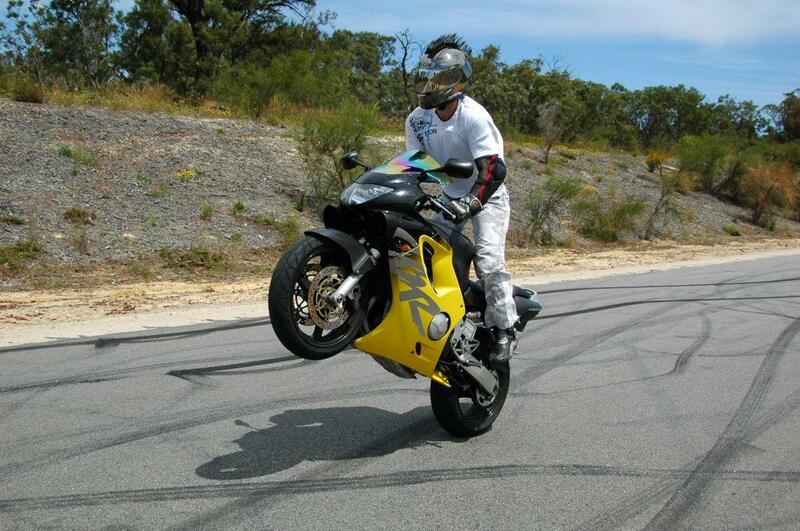 Joker from Western Australia, showing his bikes who's the boss... Love the 929 Mate! 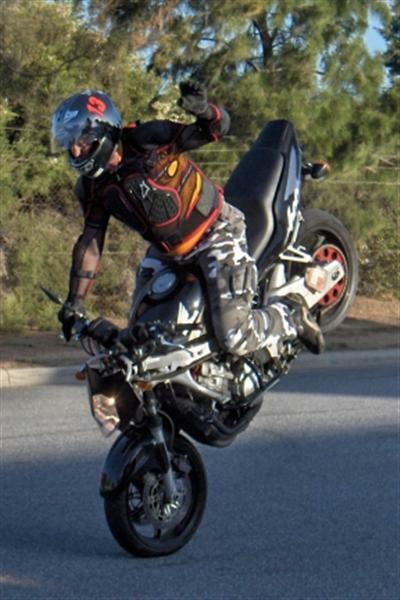 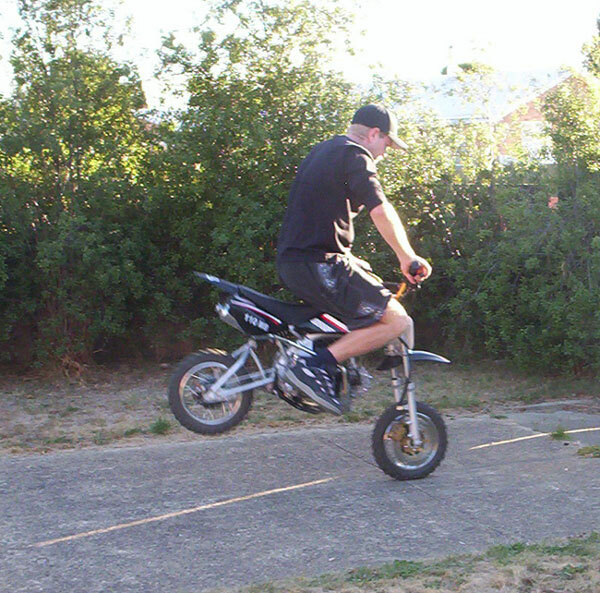 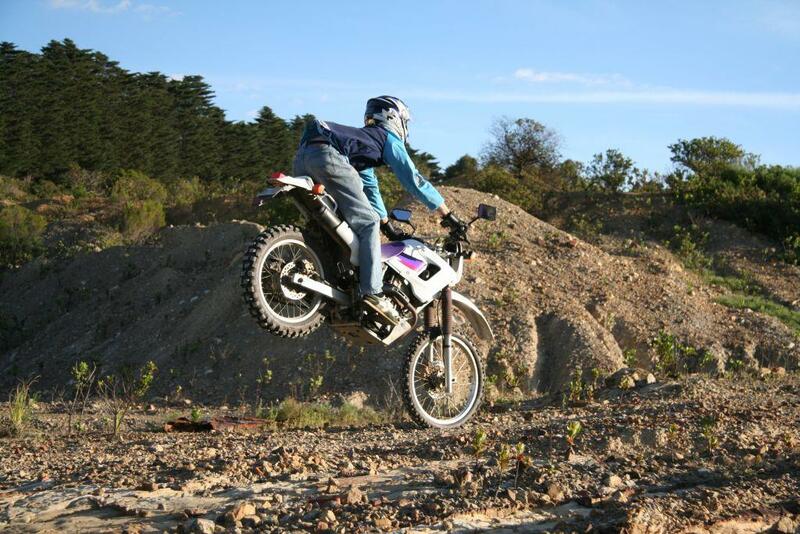 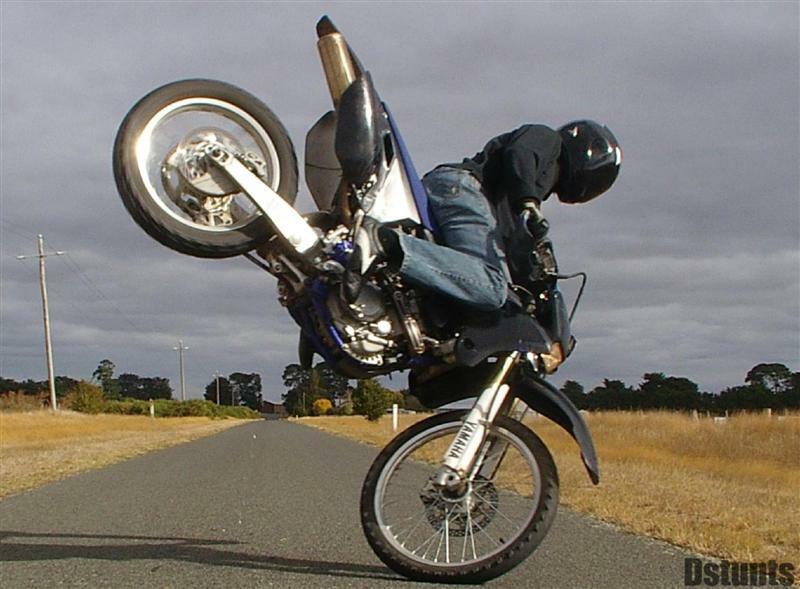 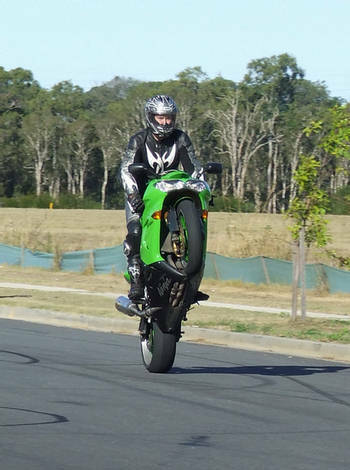 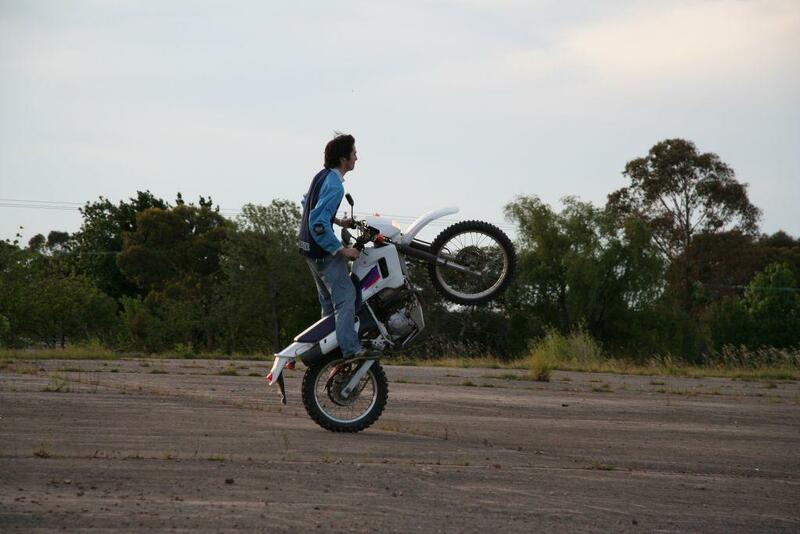 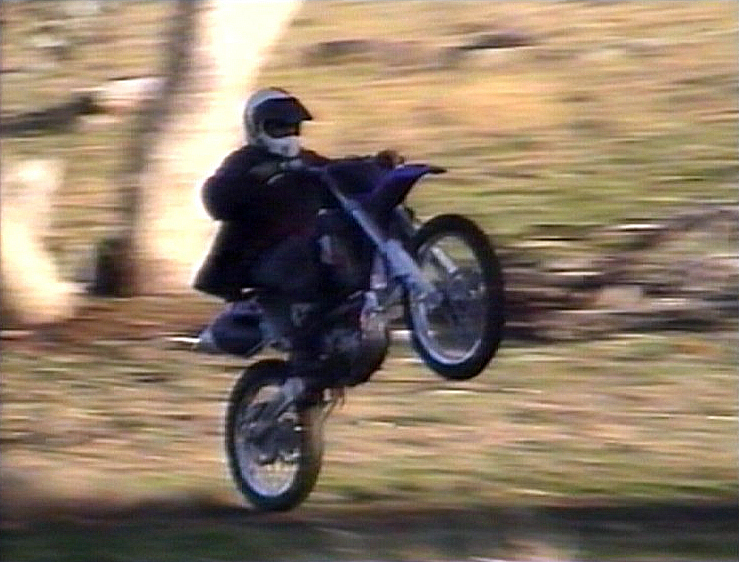 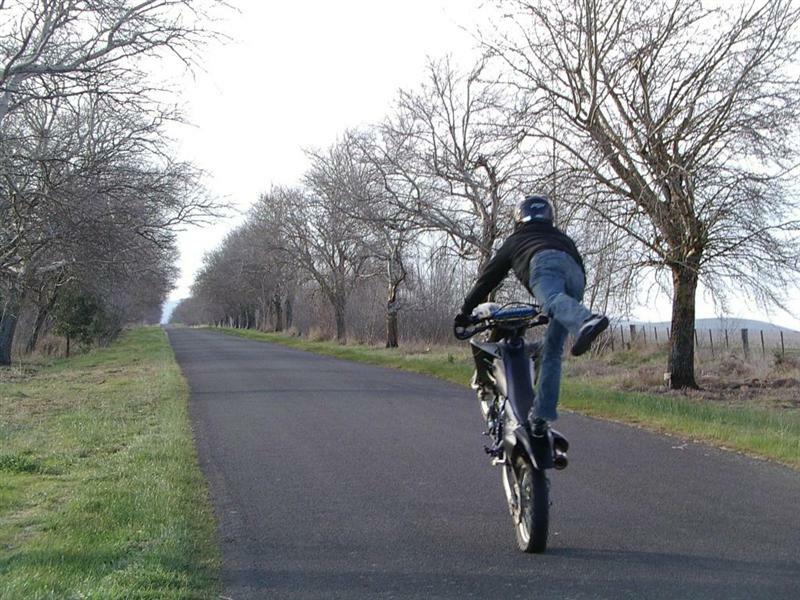 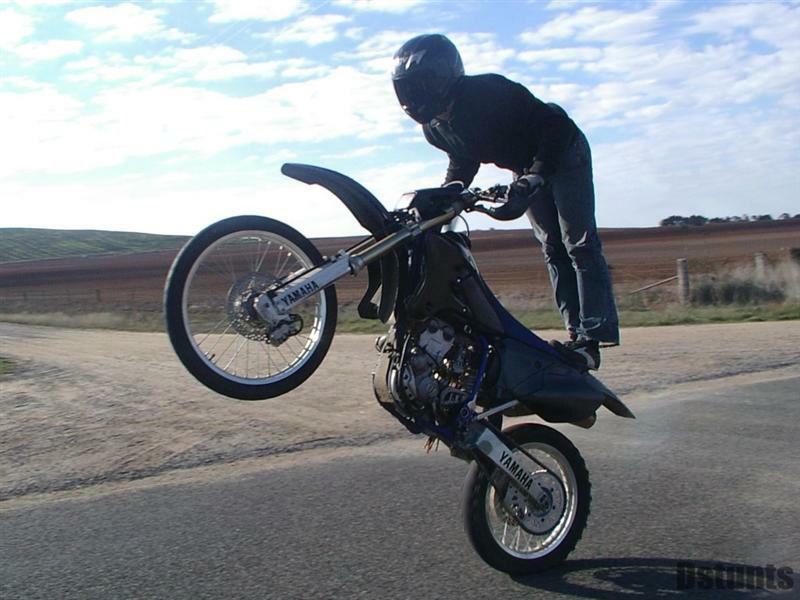 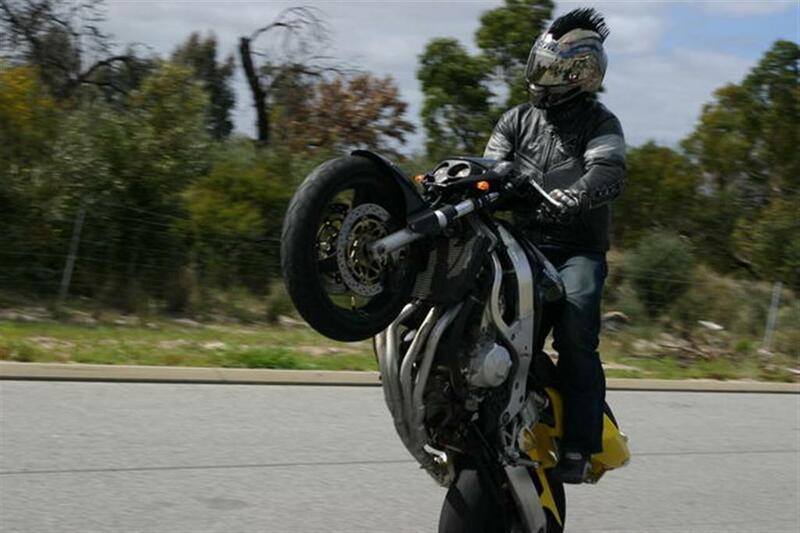 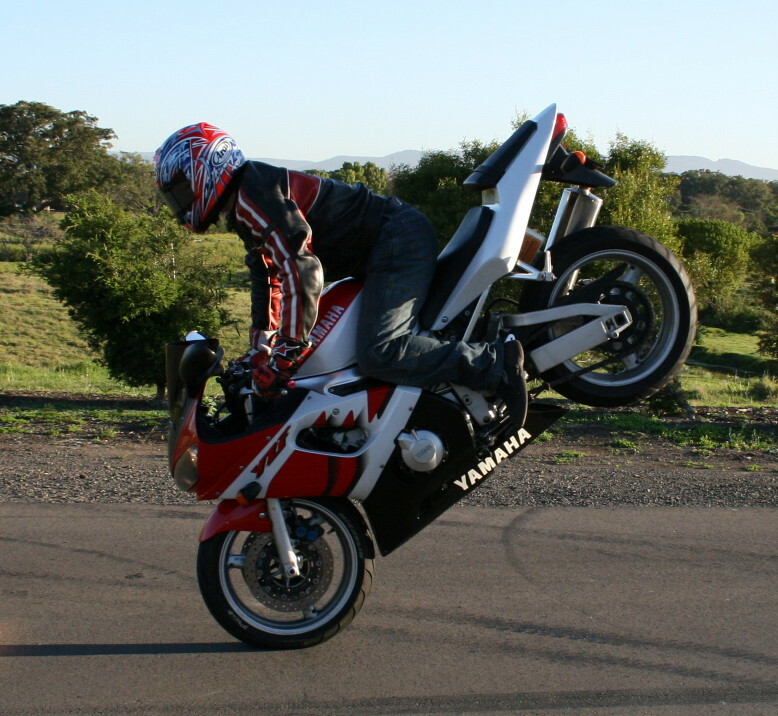 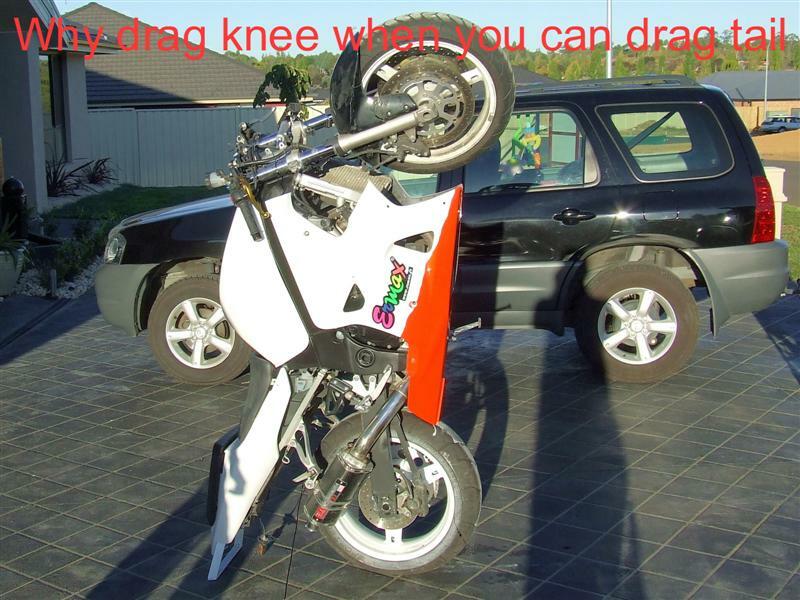 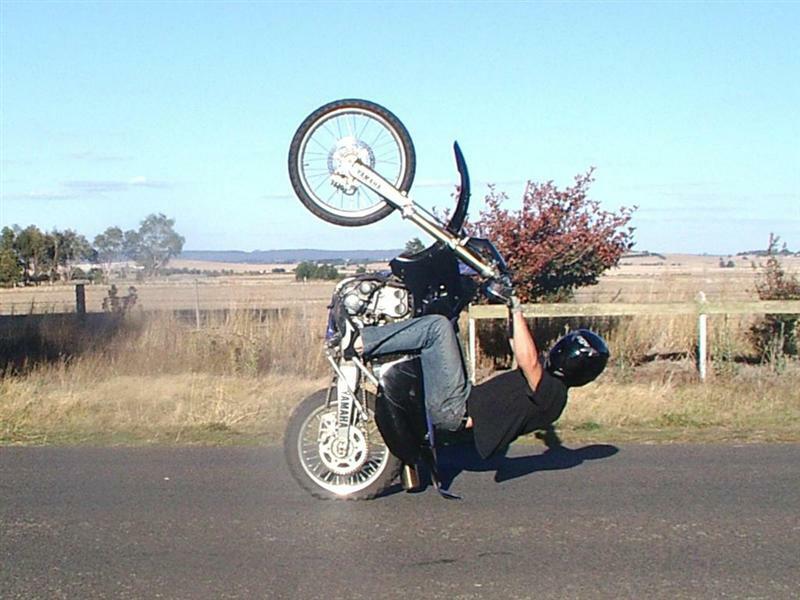 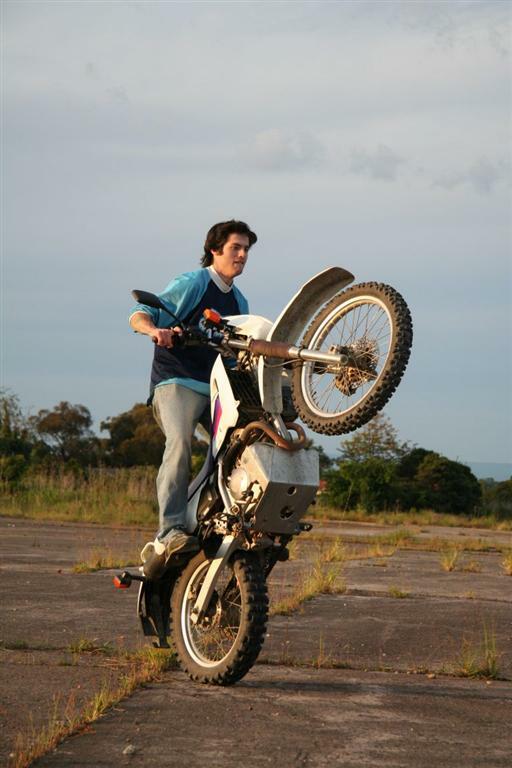 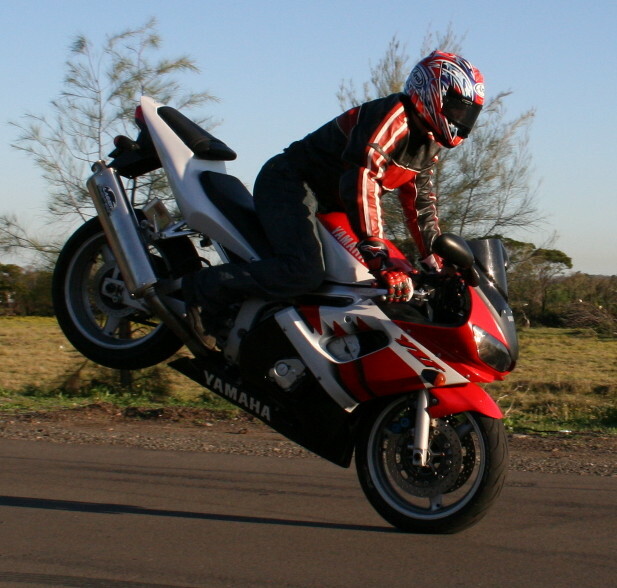 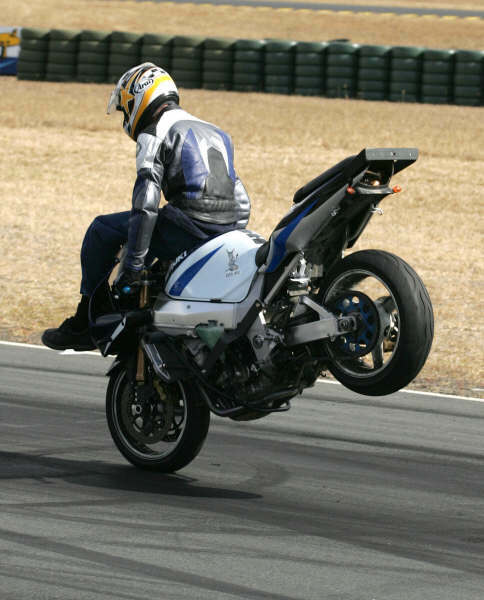 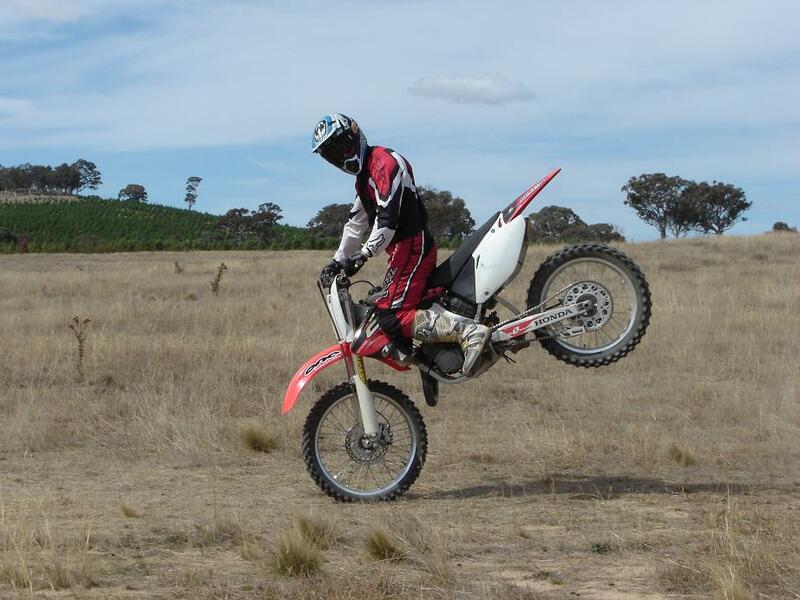 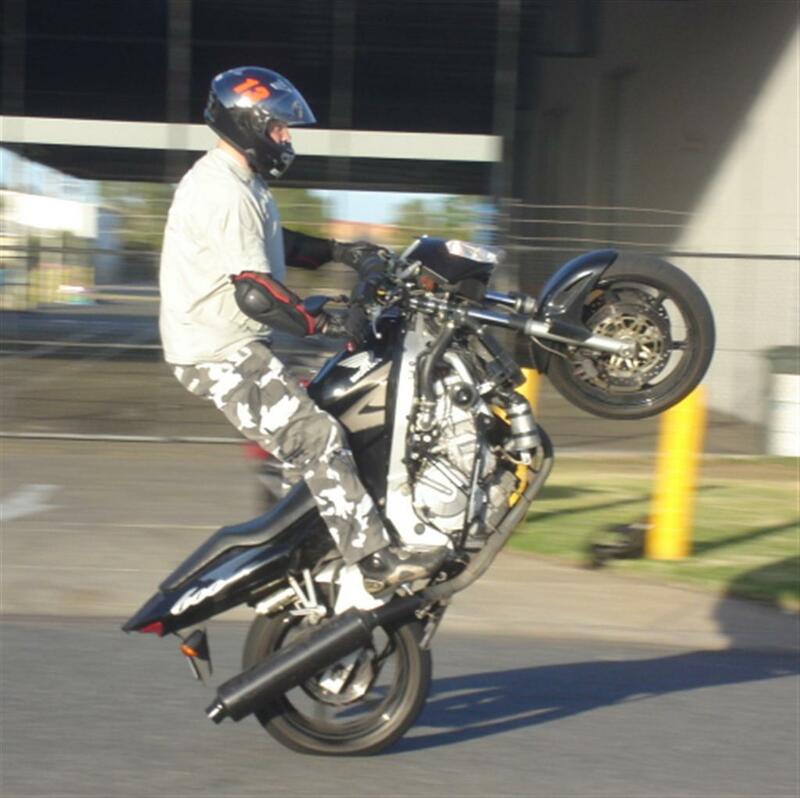 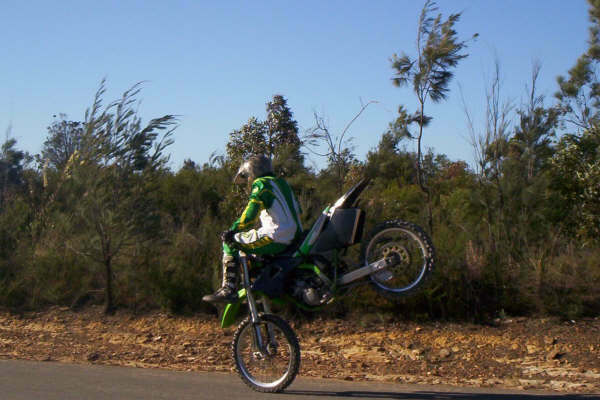 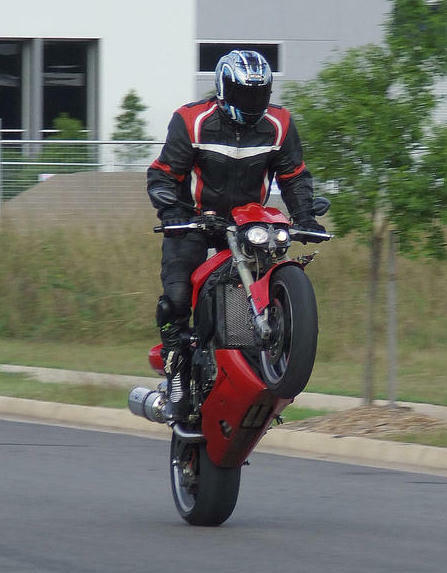 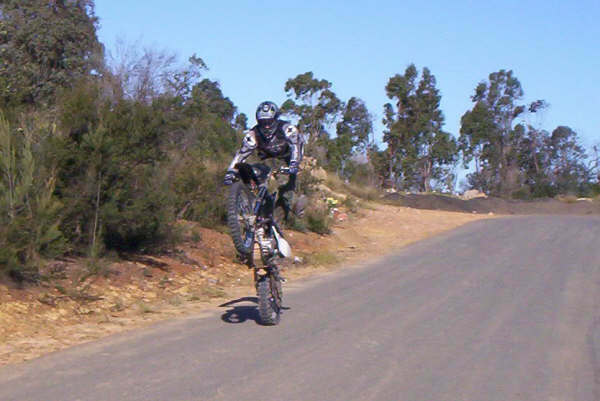 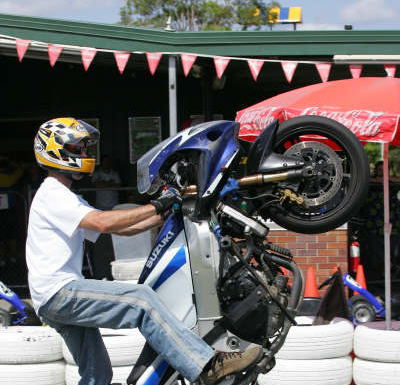 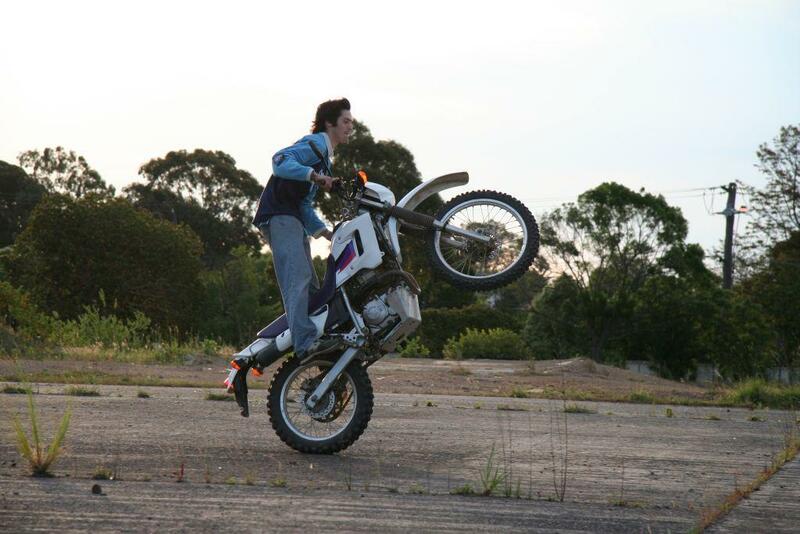 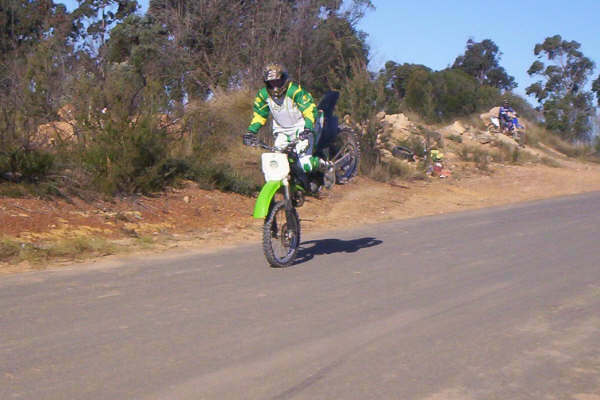 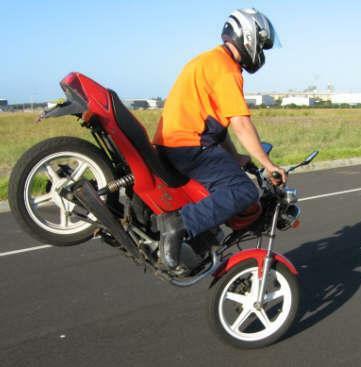 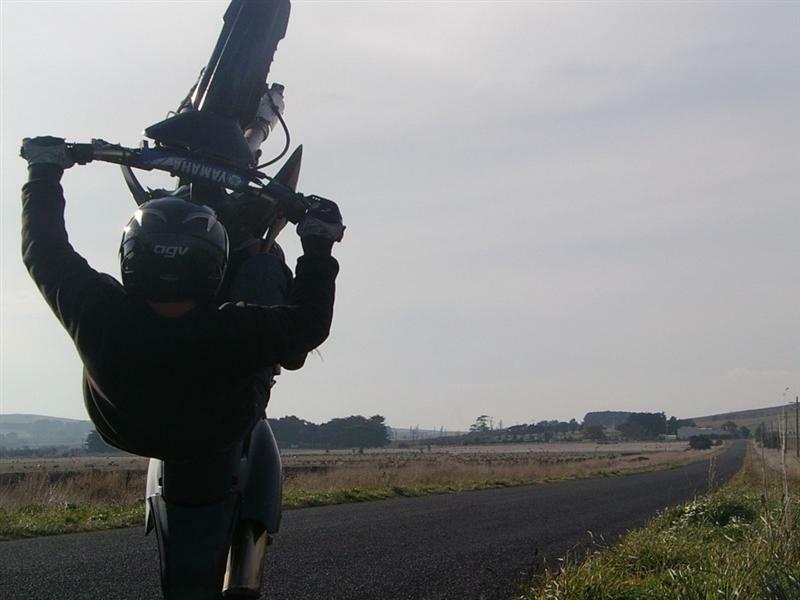 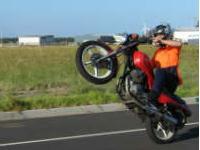 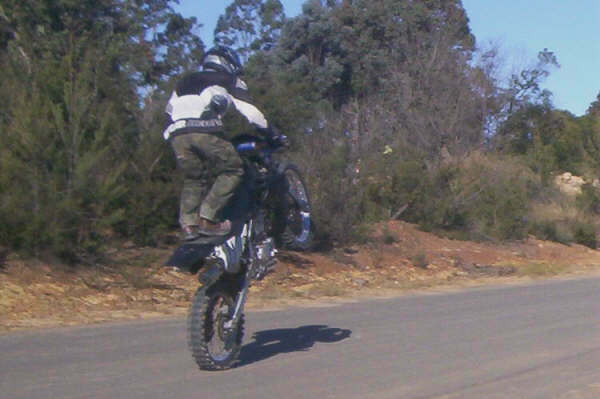 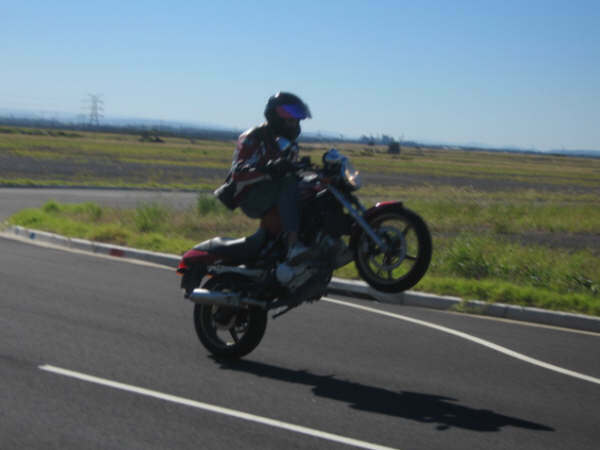 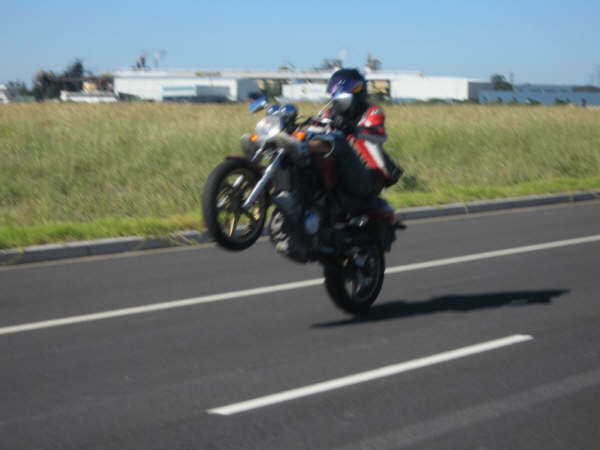 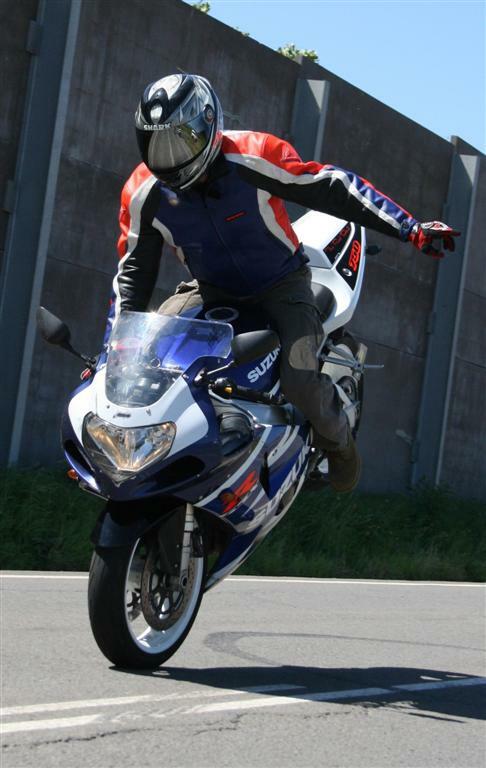 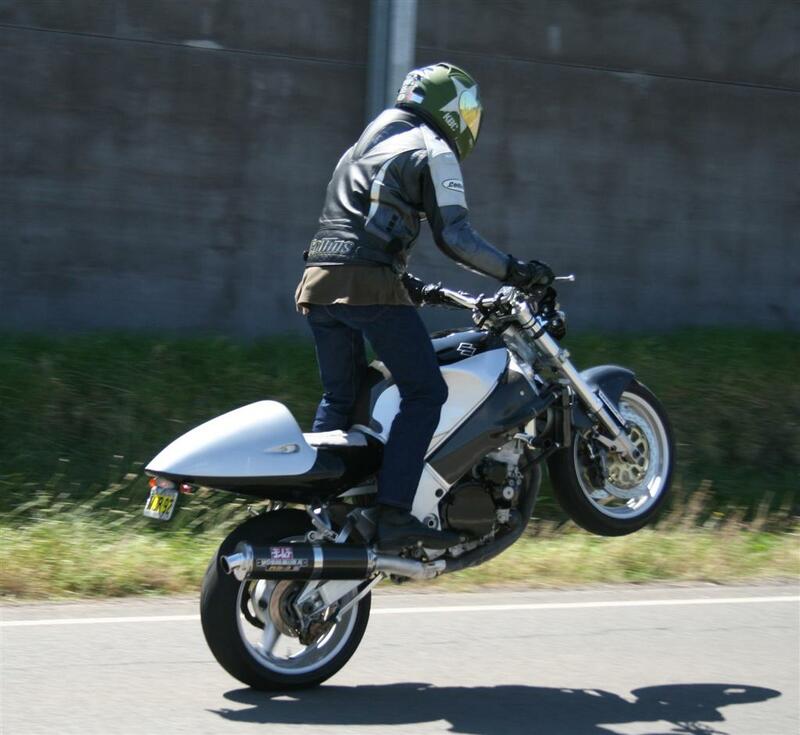 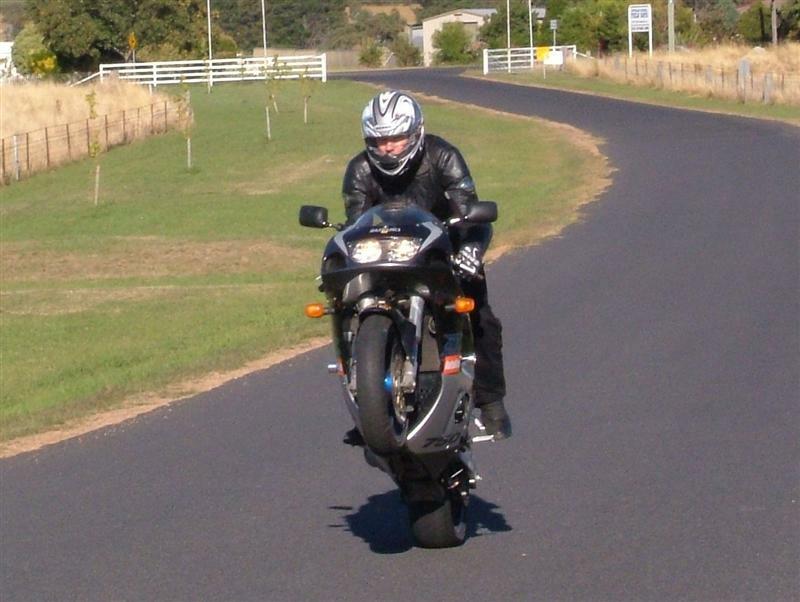 Jim from Melbourne send in these top pics of him cutting loose on his dirt bike... Those wheelies look up there on balance point, AWESOME! 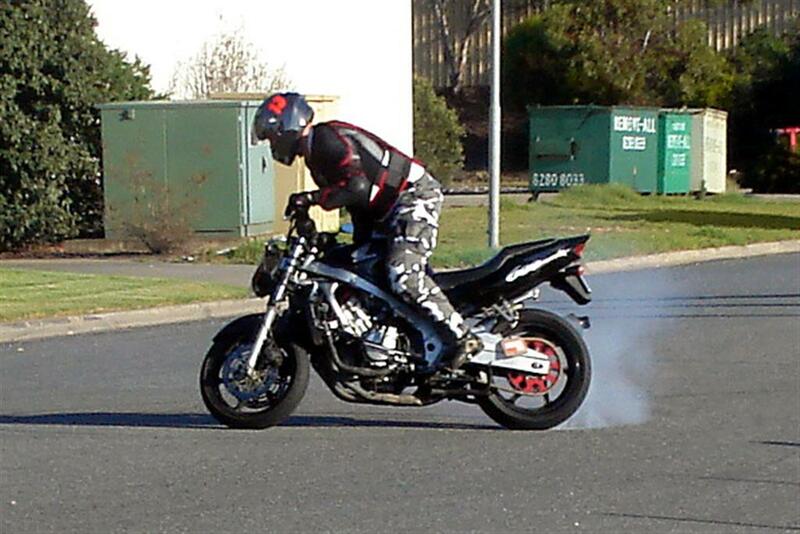 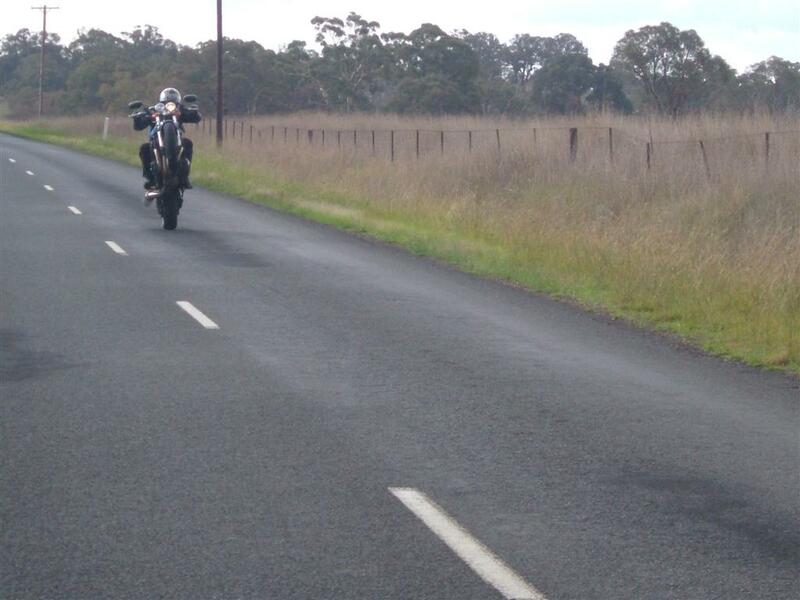 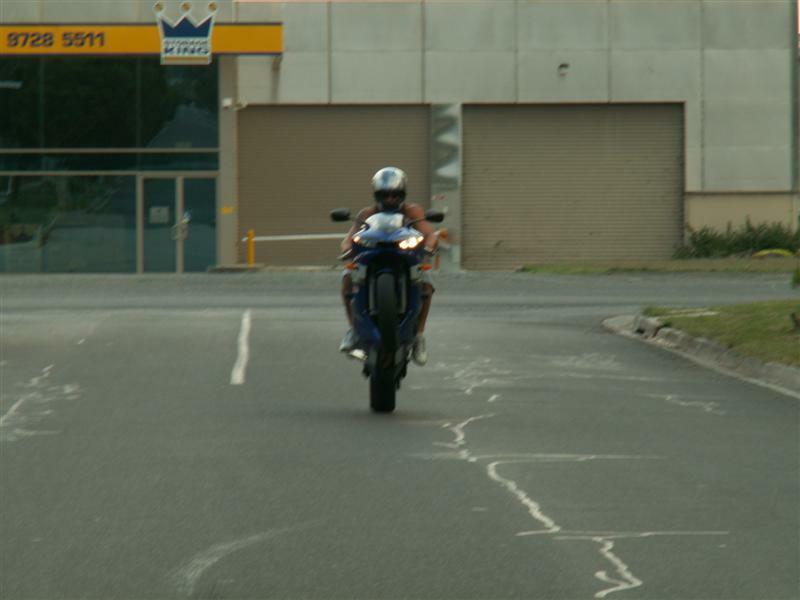 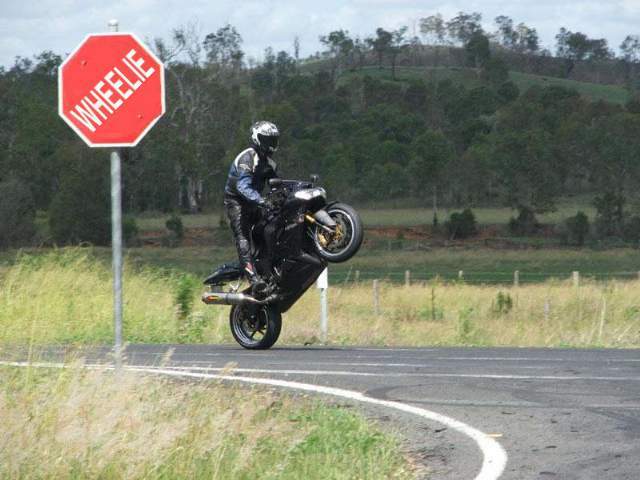 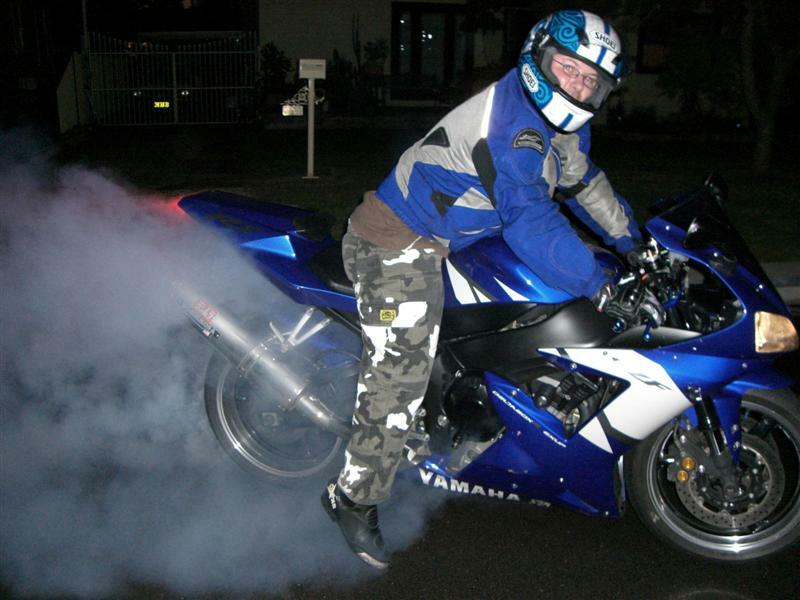 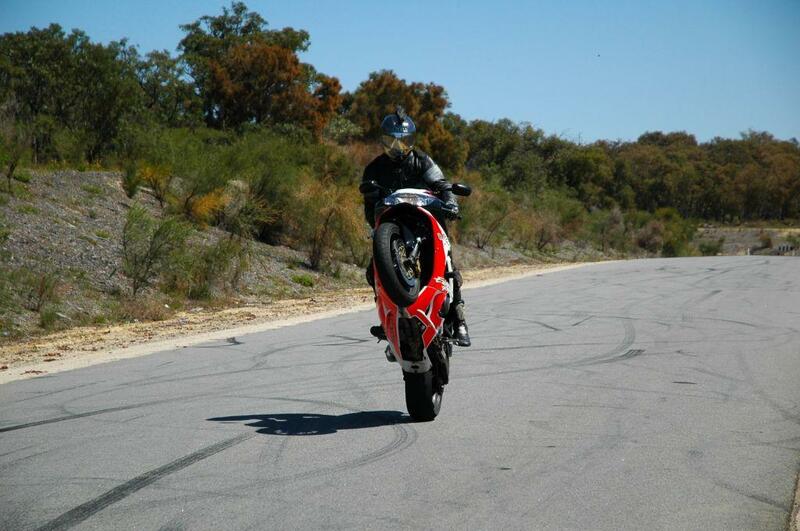 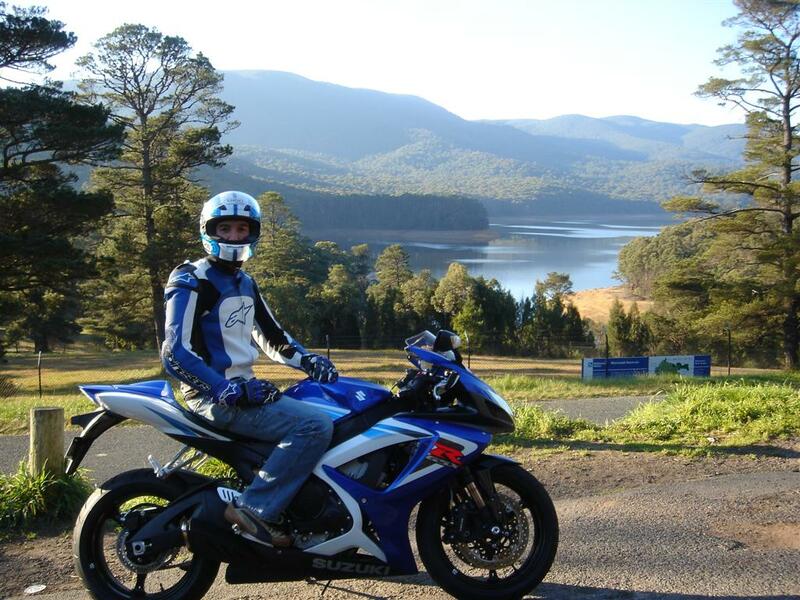 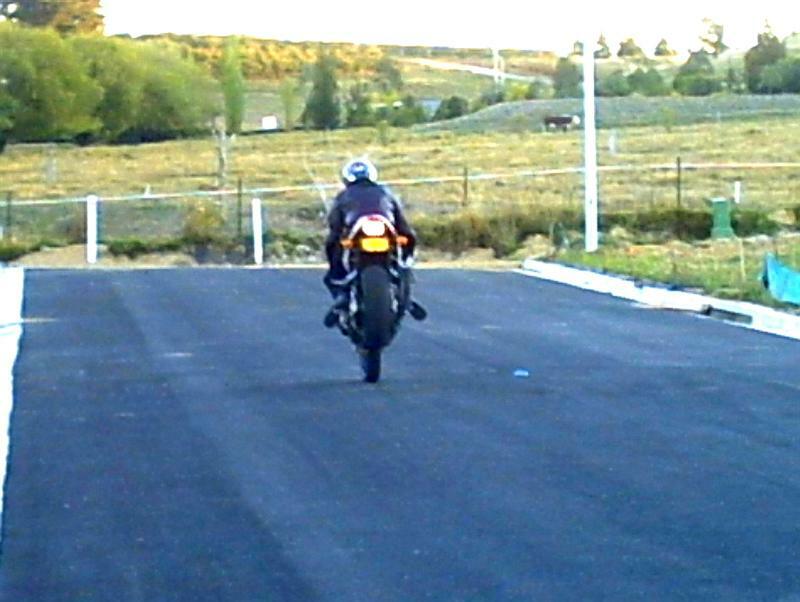 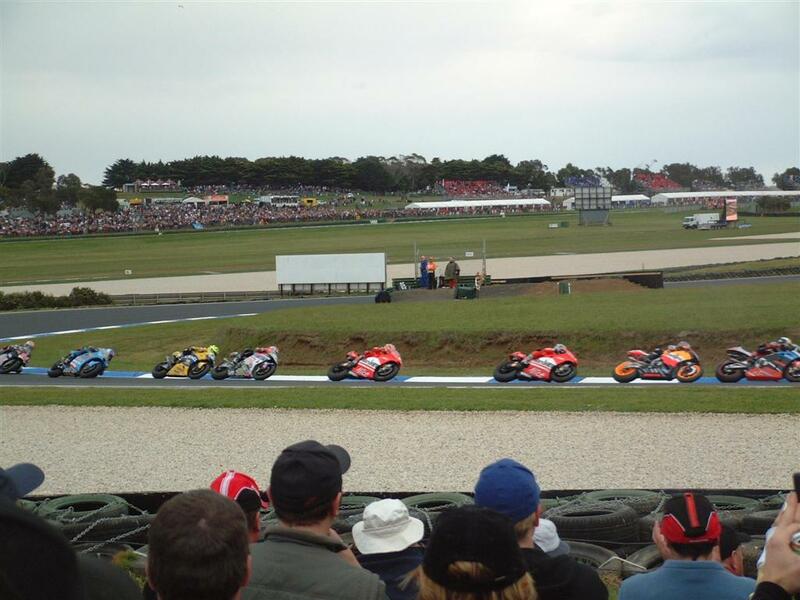 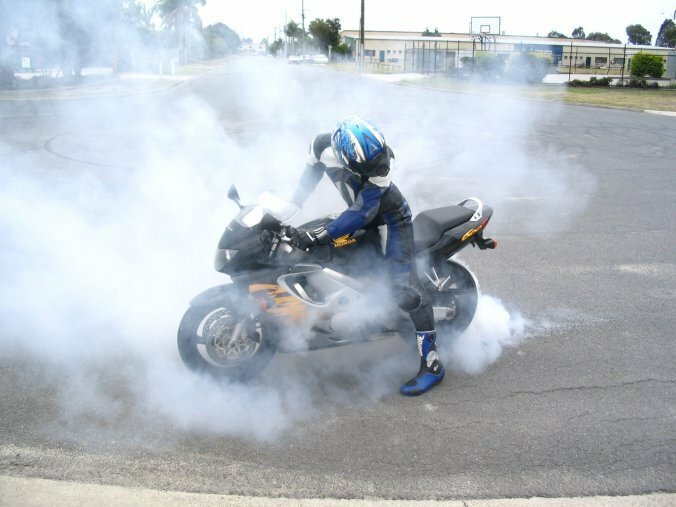 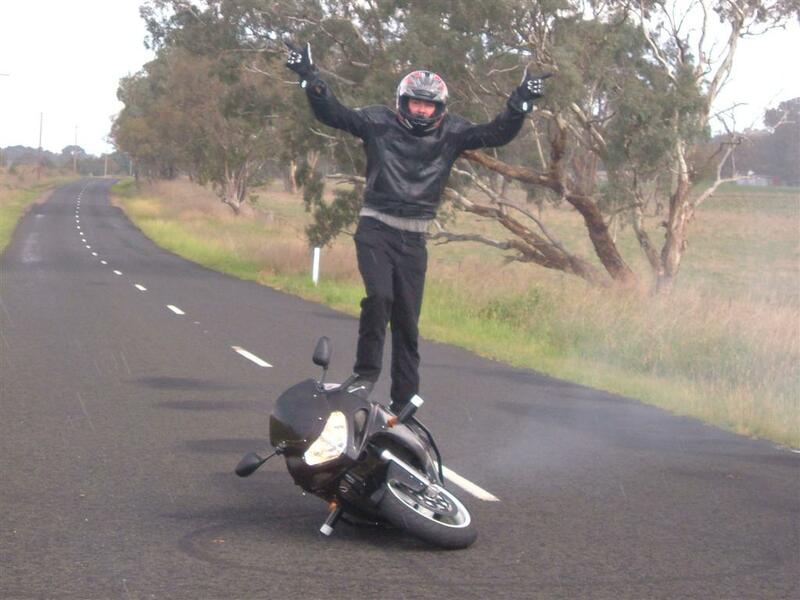 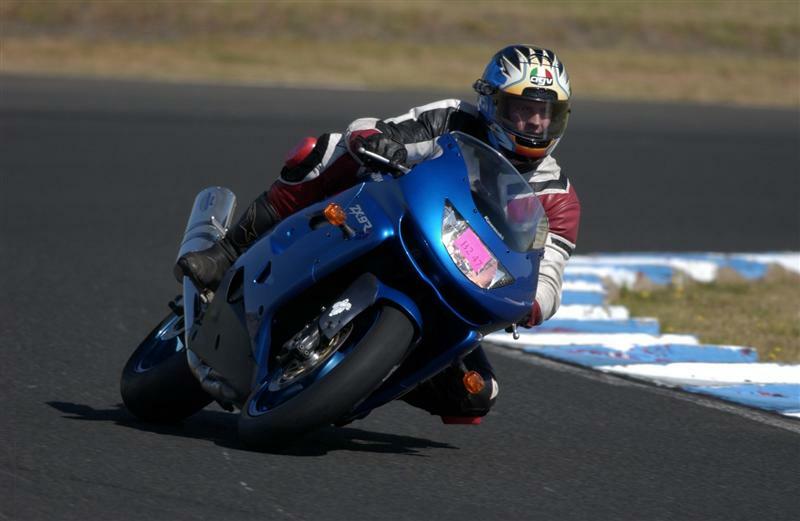 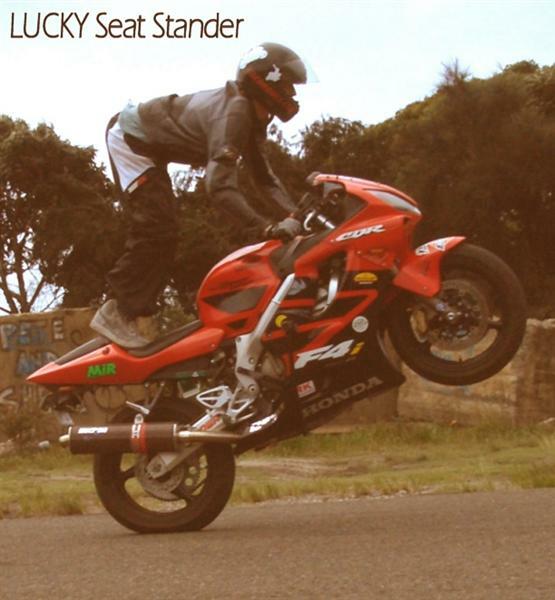 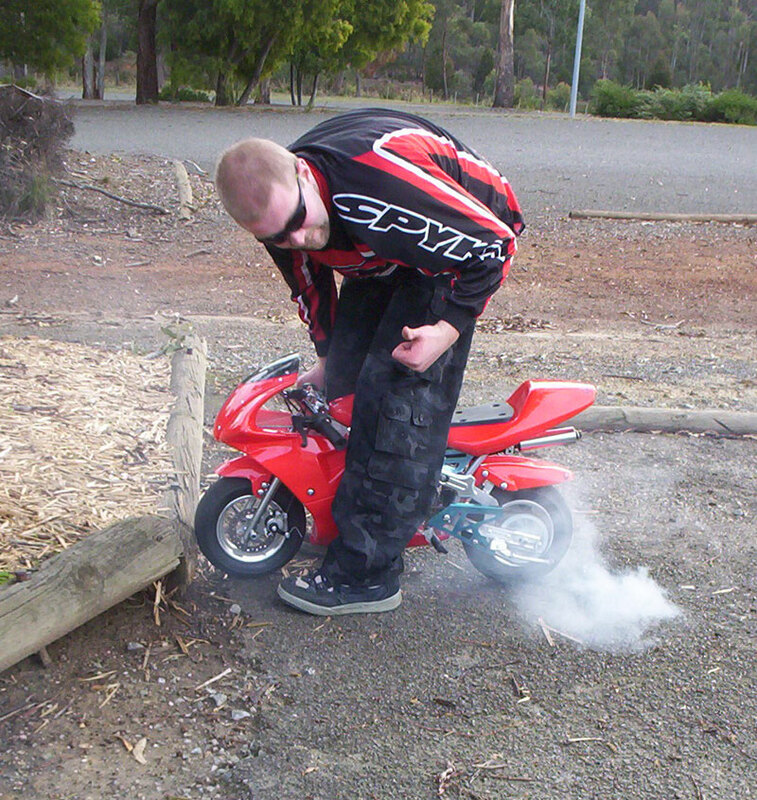 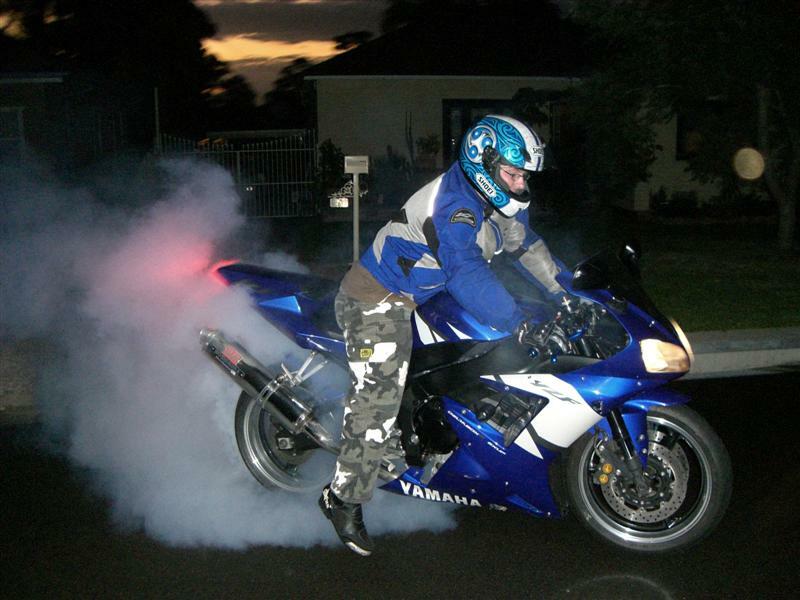 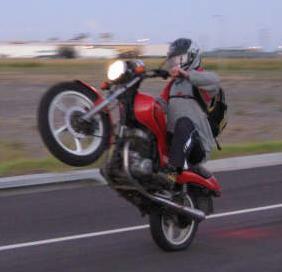 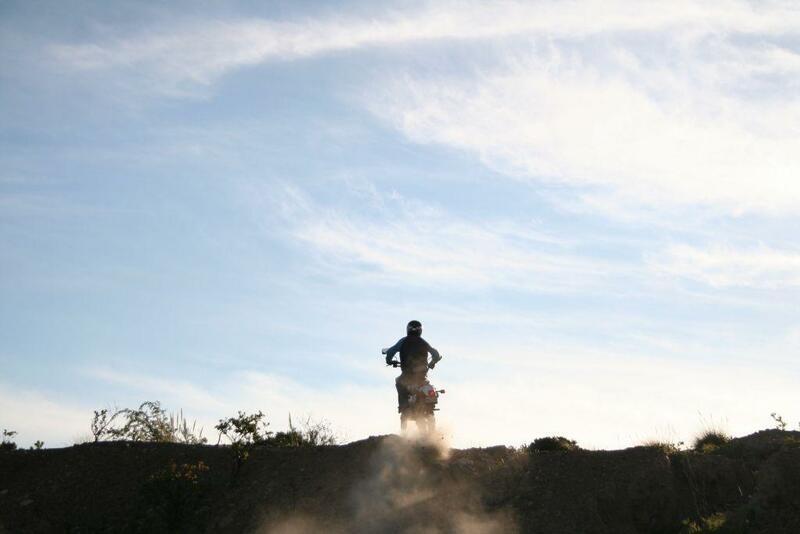 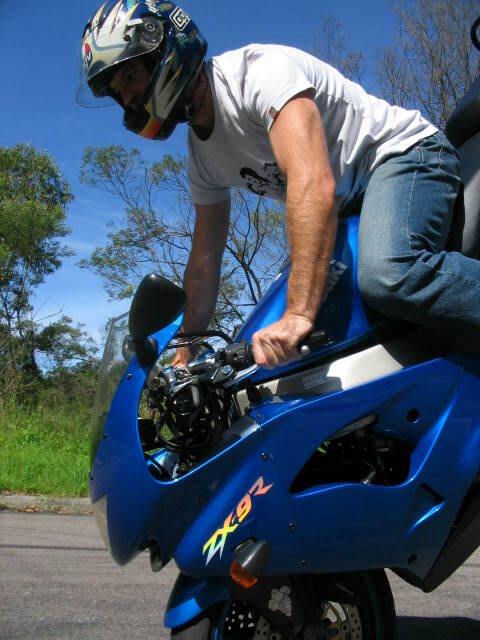 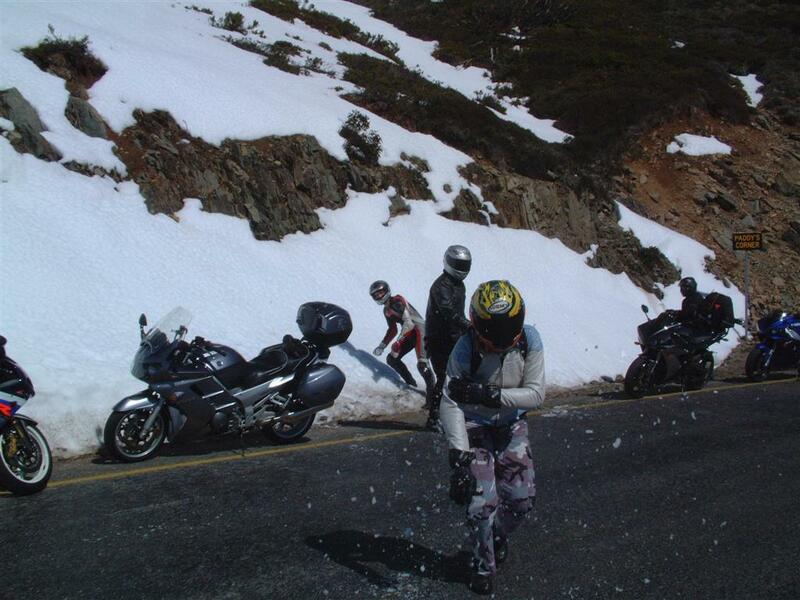 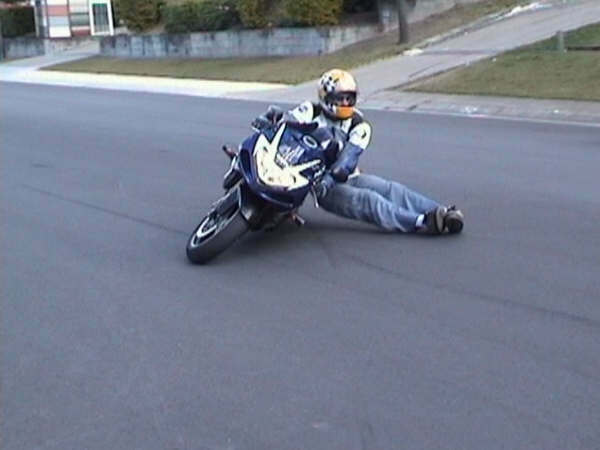 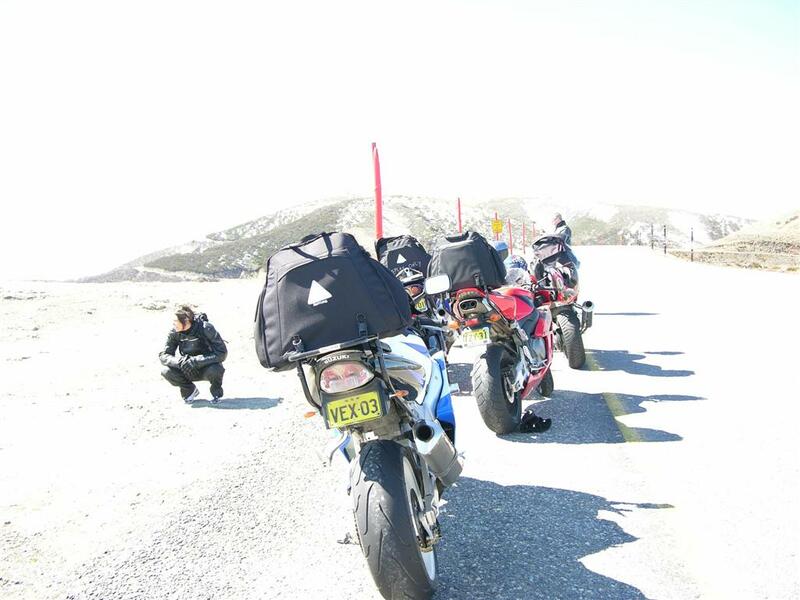 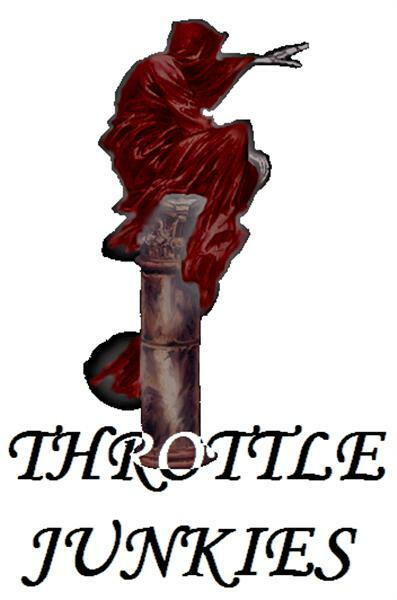 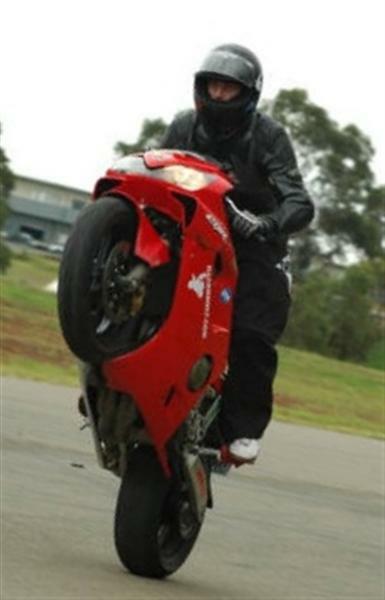 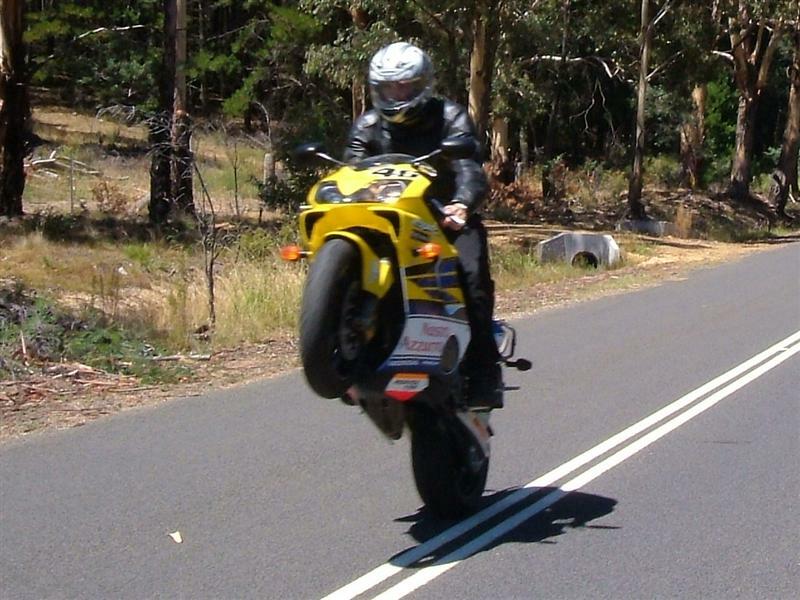 Big Thanks to Matty in NSW, He is out there Proving that nothing will stop a Dedicated Motorcyclist. 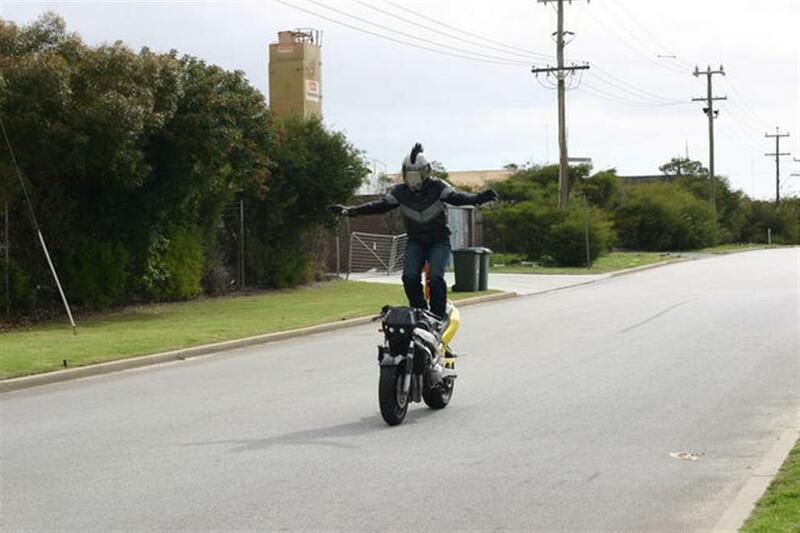 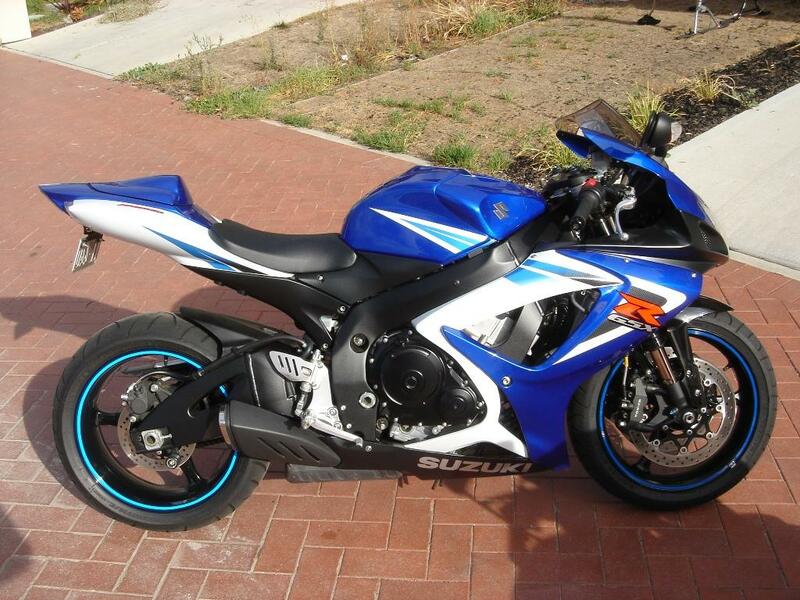 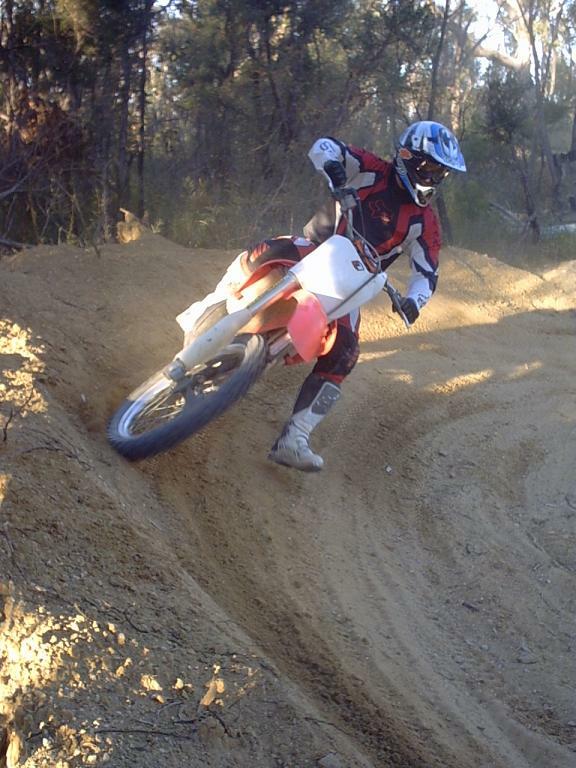 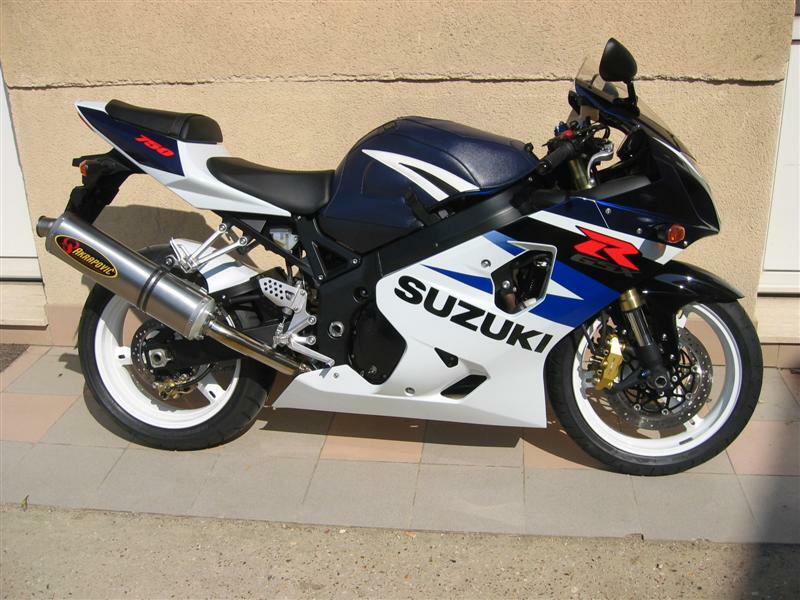 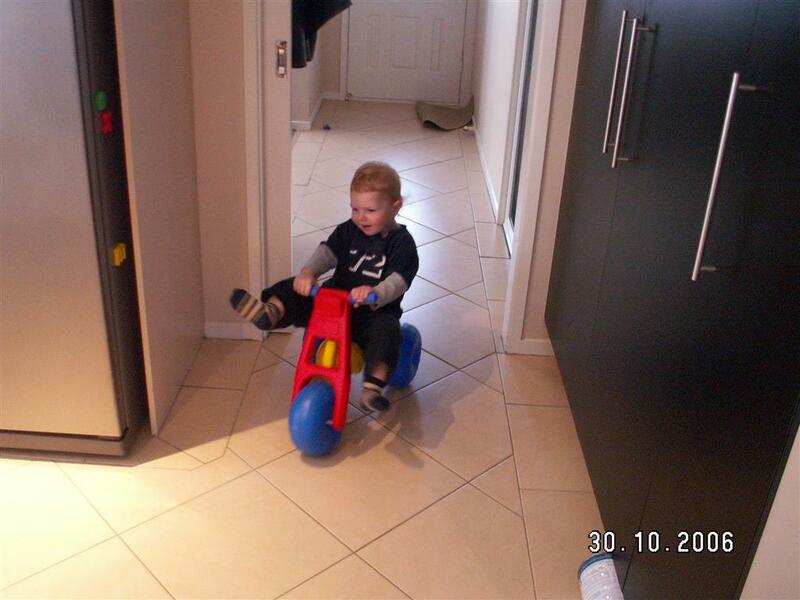 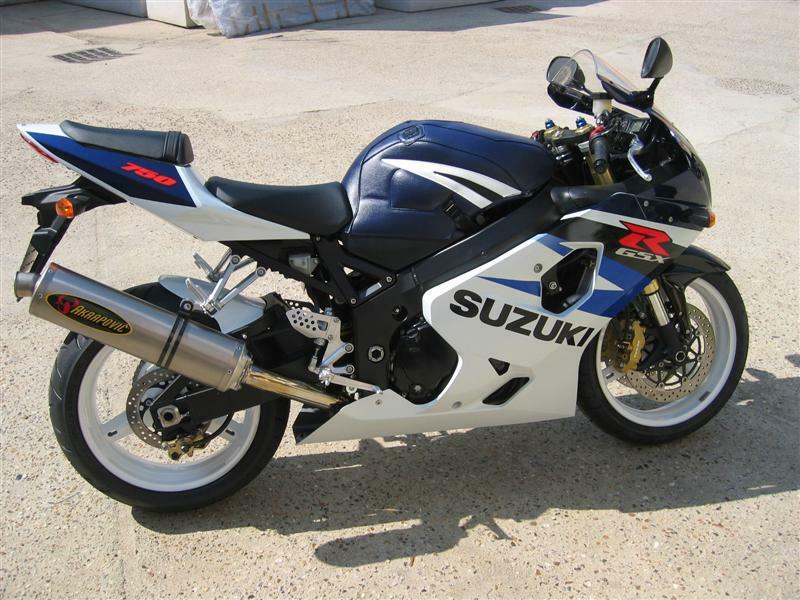 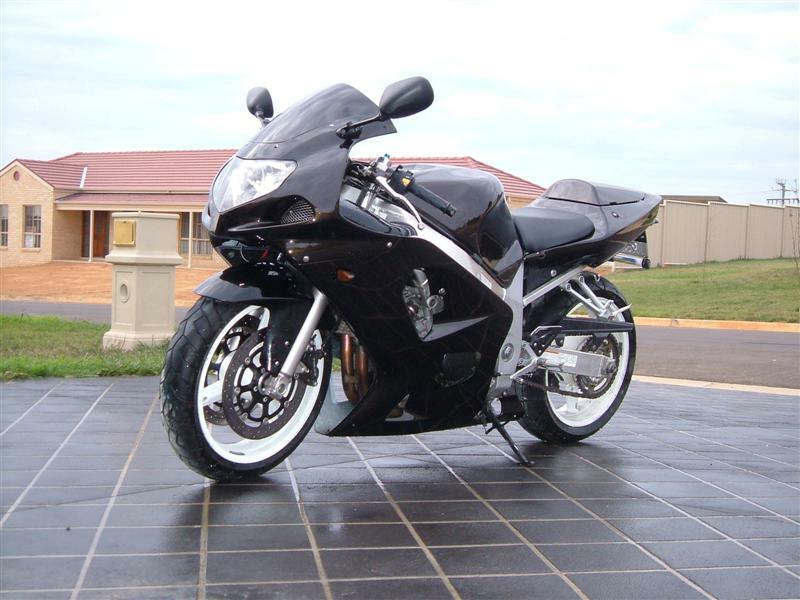 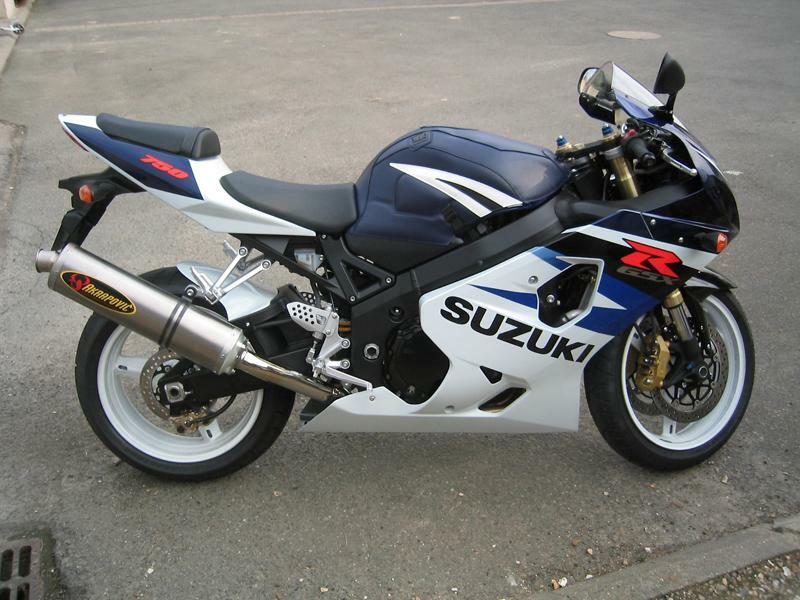 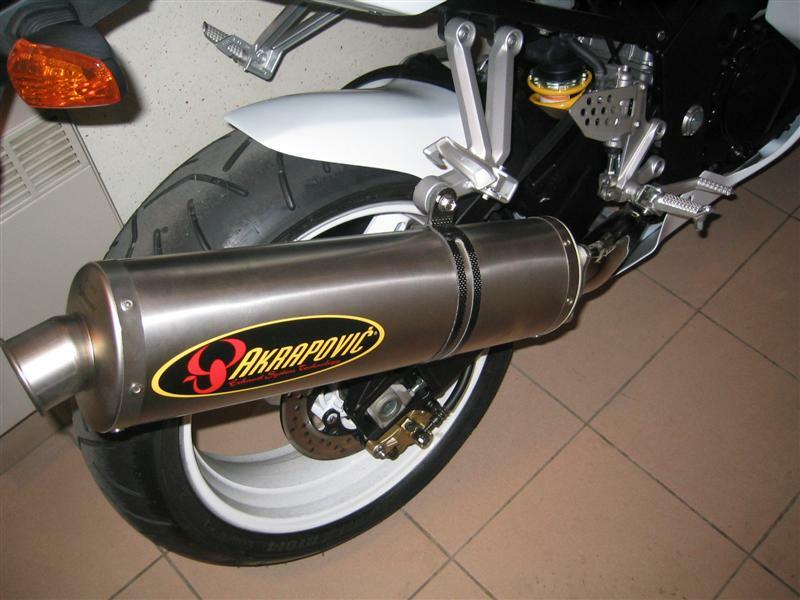 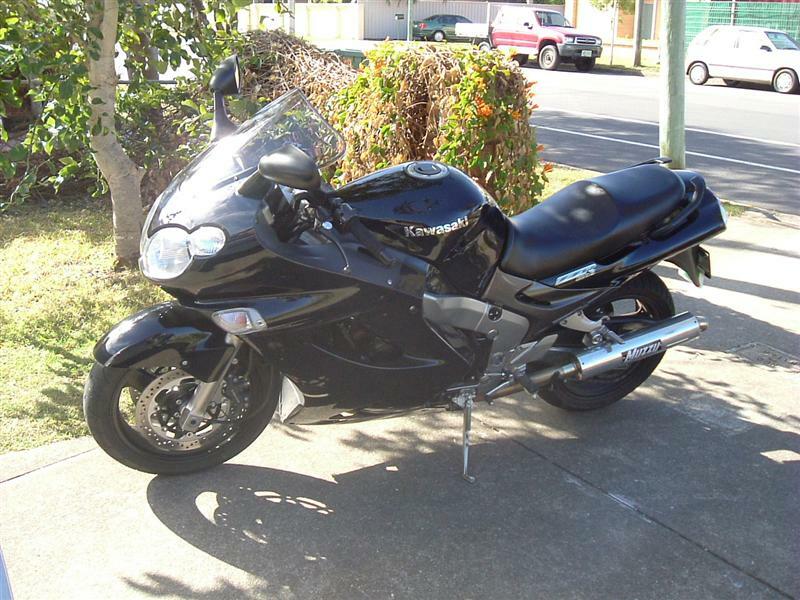 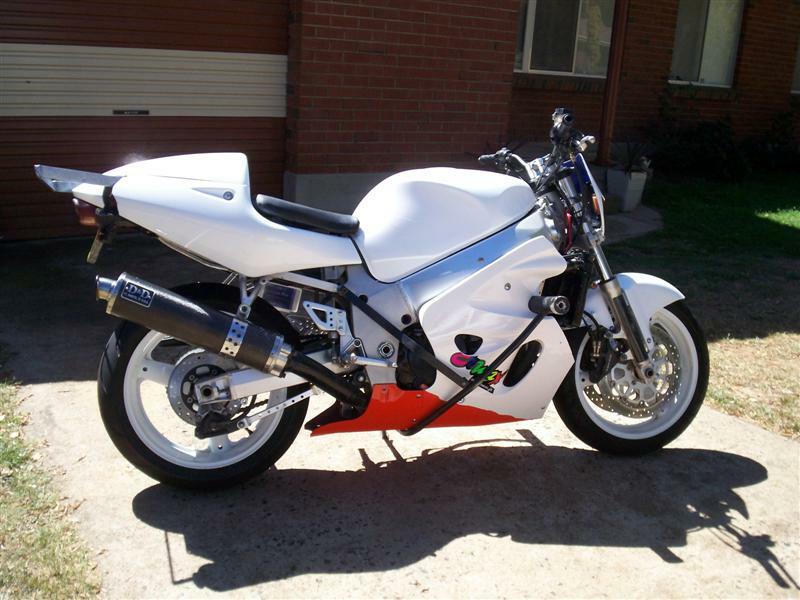 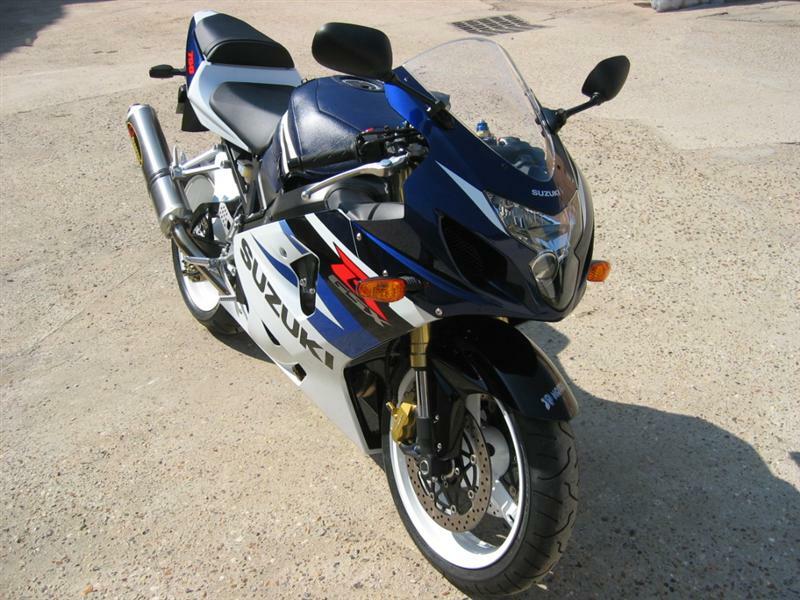 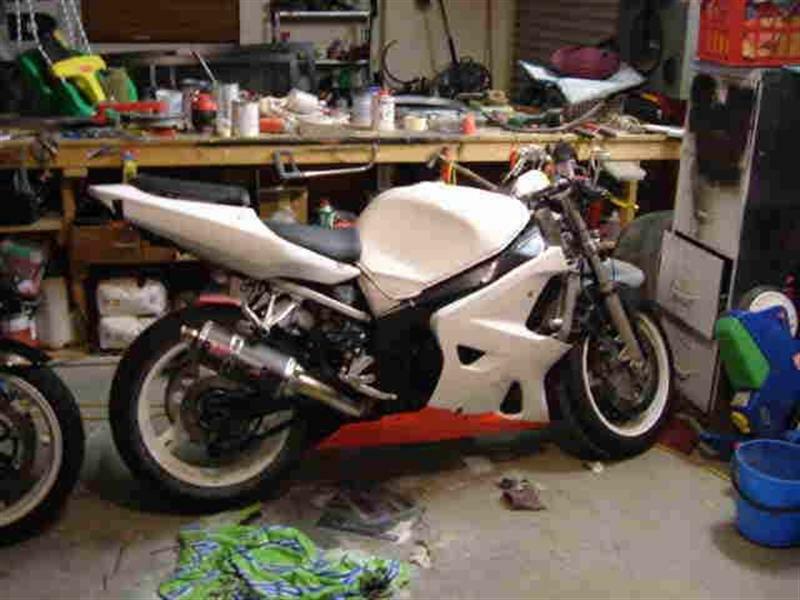 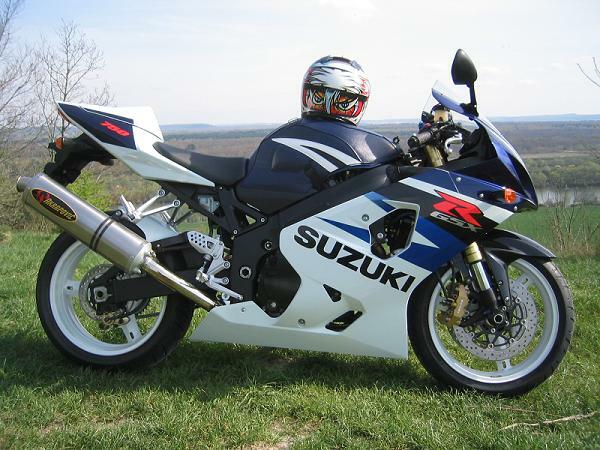 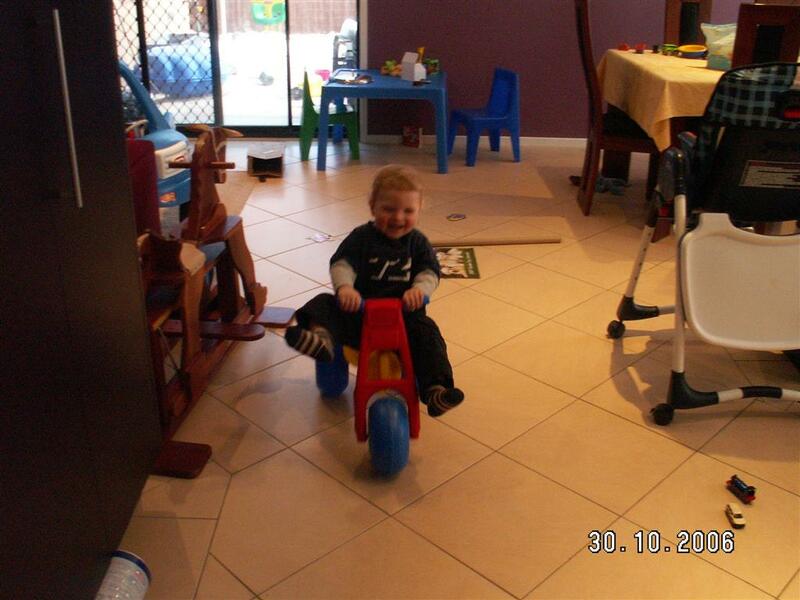 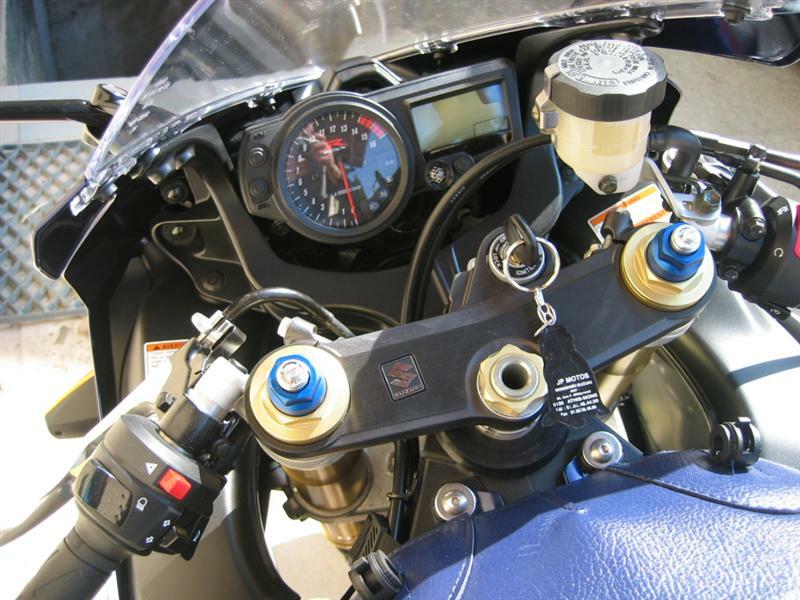 Check out this Awesome new Machine owned by Jordon, in VIC... 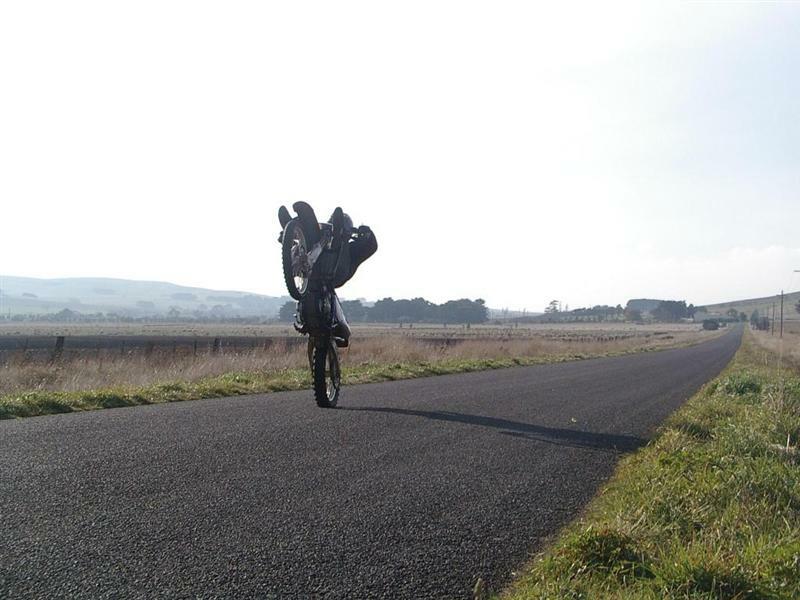 Very Nice Mate..
Big thanks to Dave for these shots, sure looks like you got those tricks down pat! 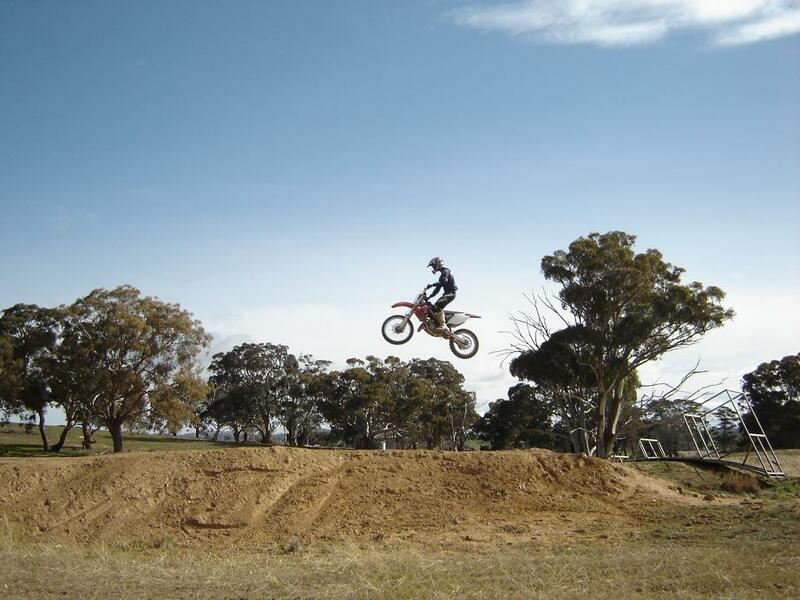 Some Photos from David, Thanks Mate.